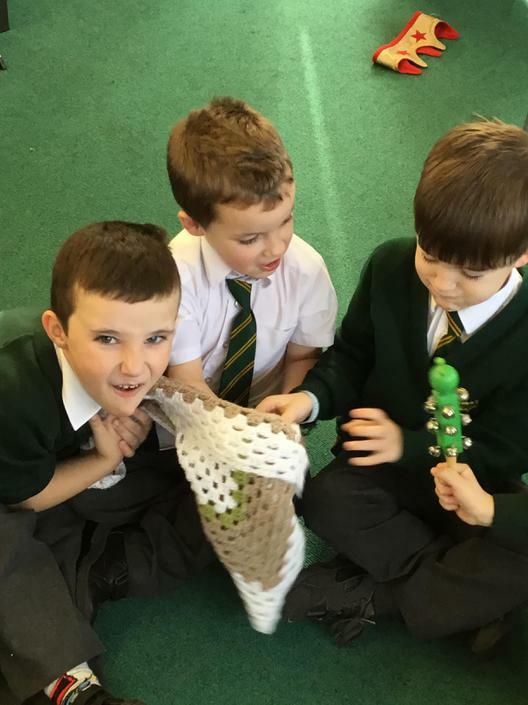 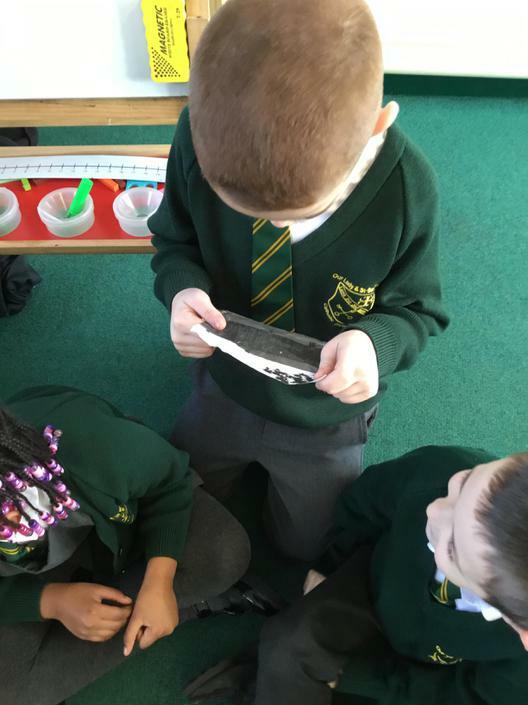 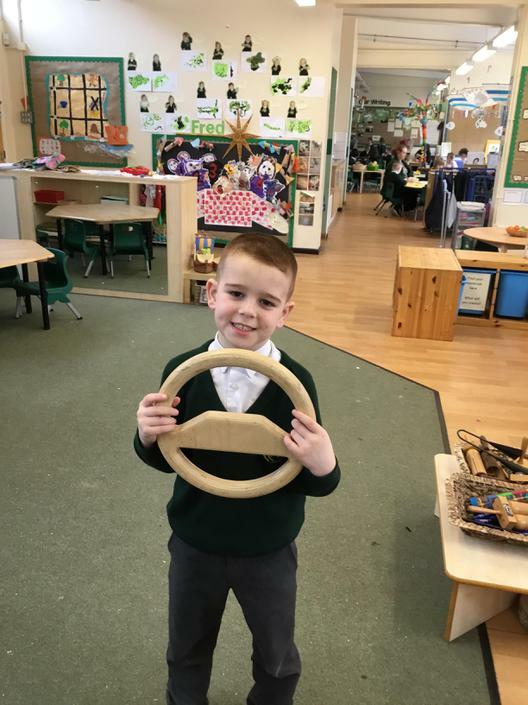 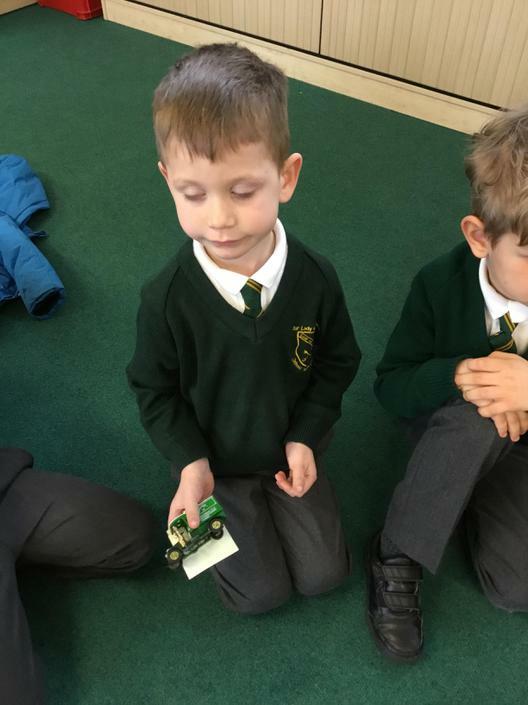 We are full of wonder this week exploring old and new toys! 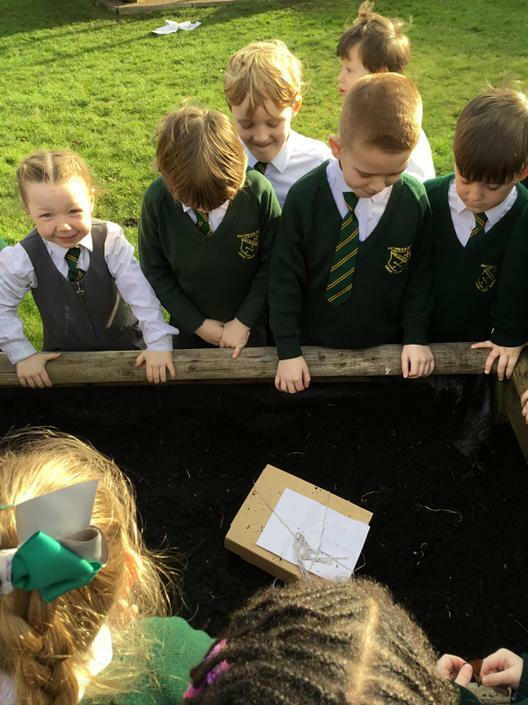 We found a mysterious time capsule in our school playground. 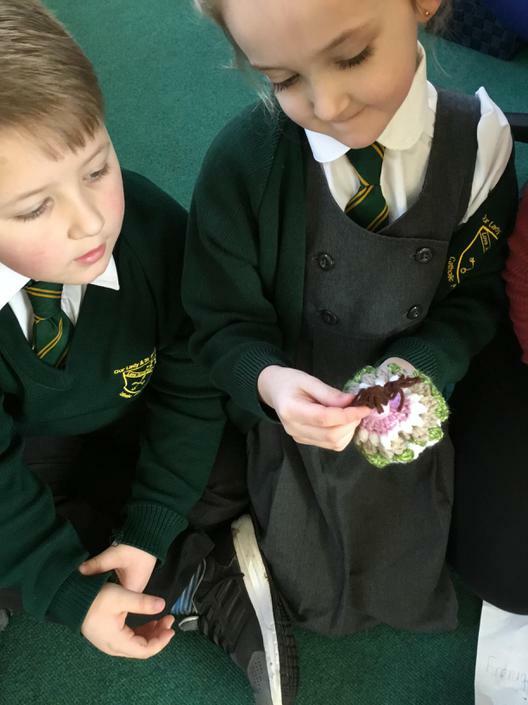 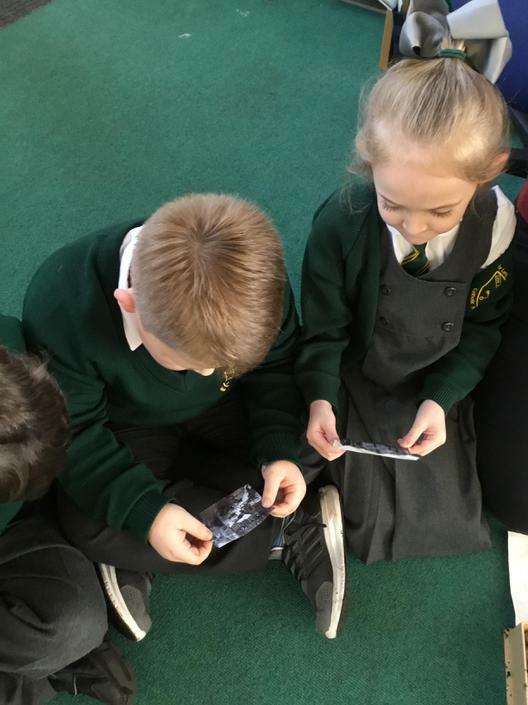 We have lots of questions to ask and things we would love to find out. 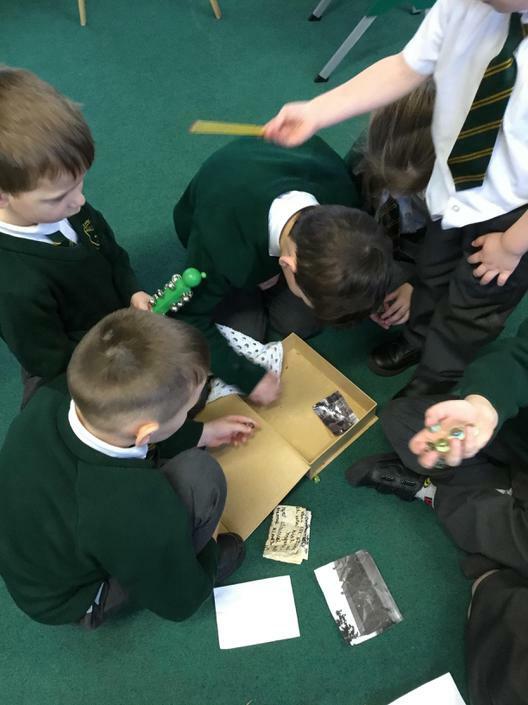 Keep checking our page to find out more about our discoveries! 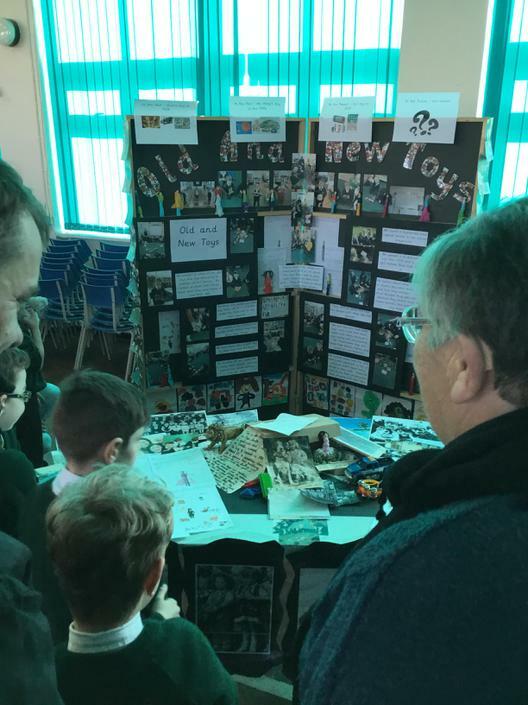 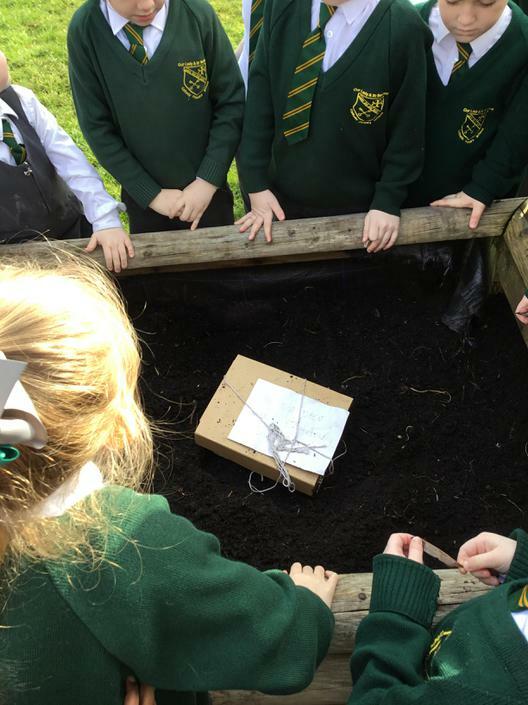 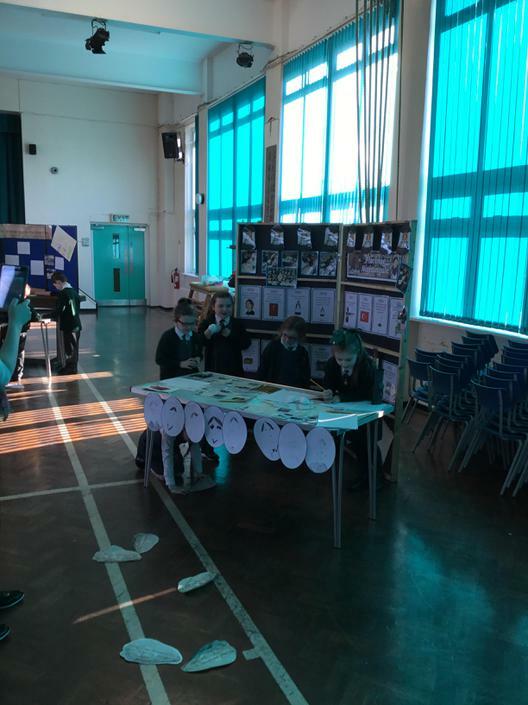 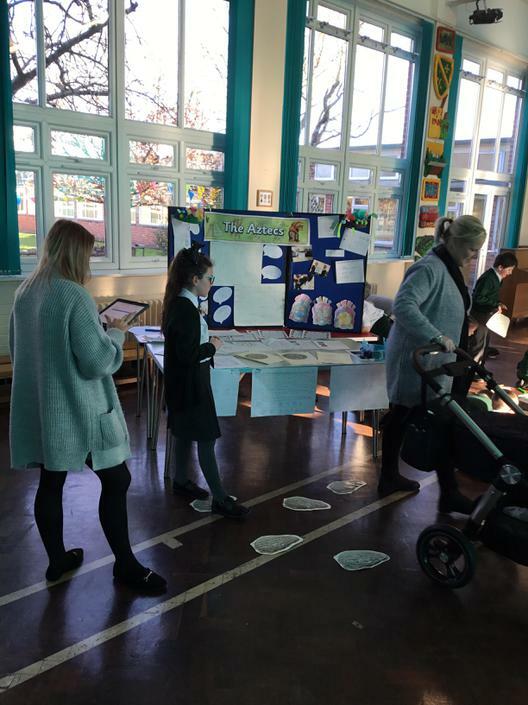 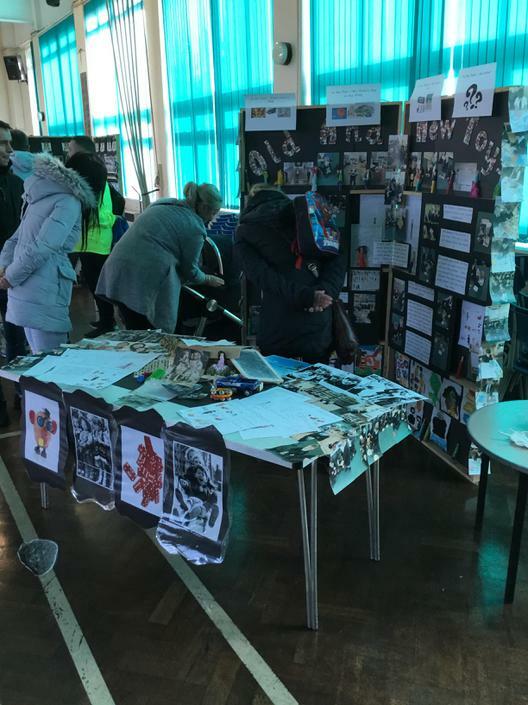 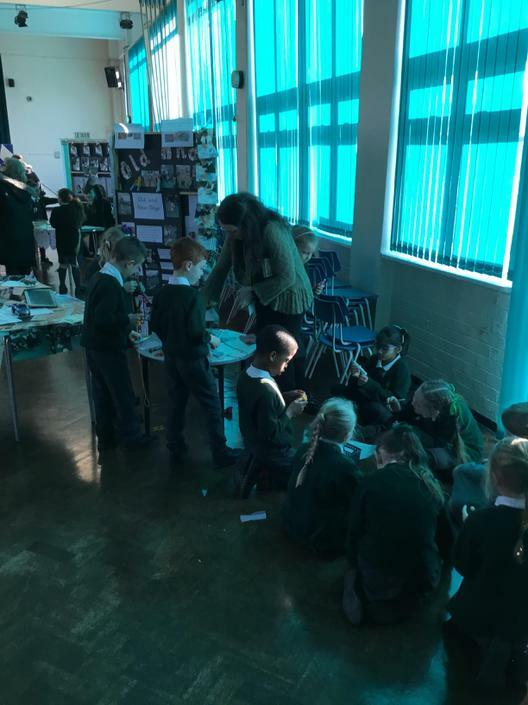 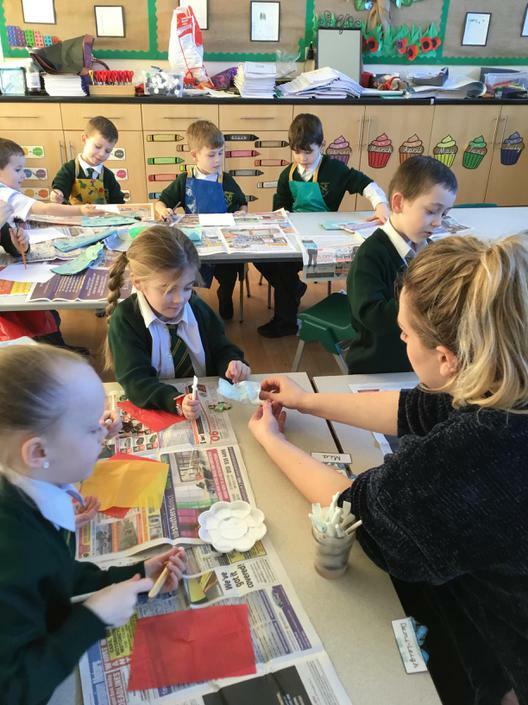 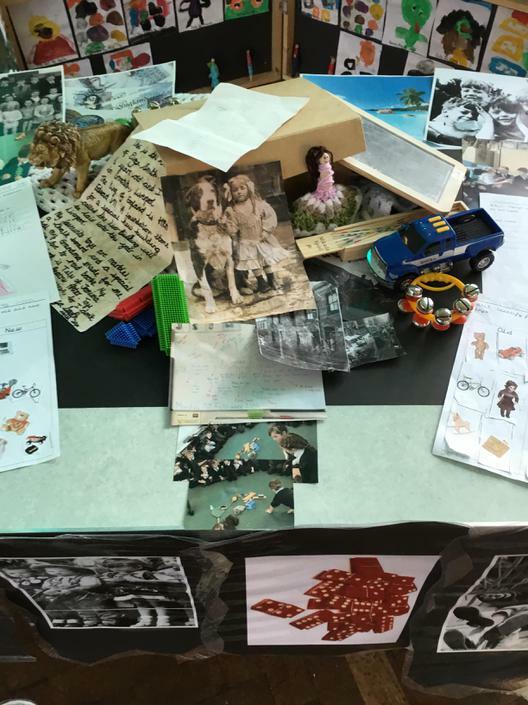 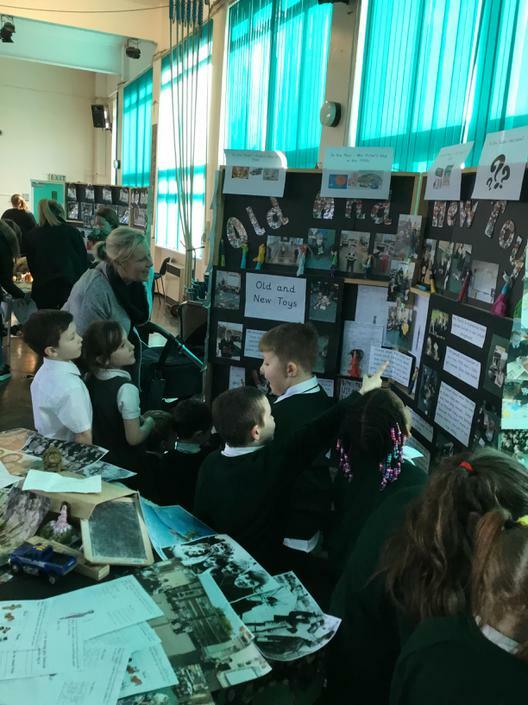 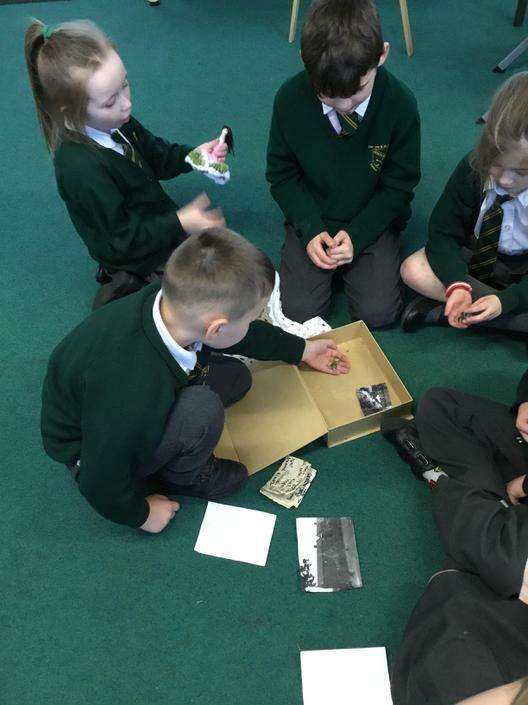 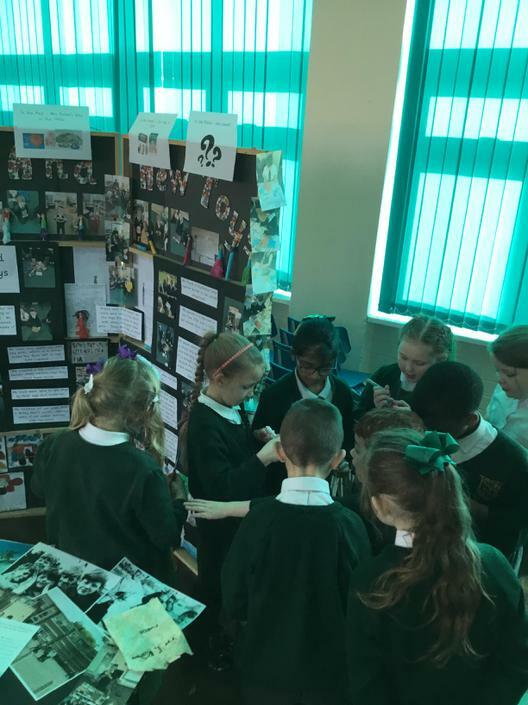 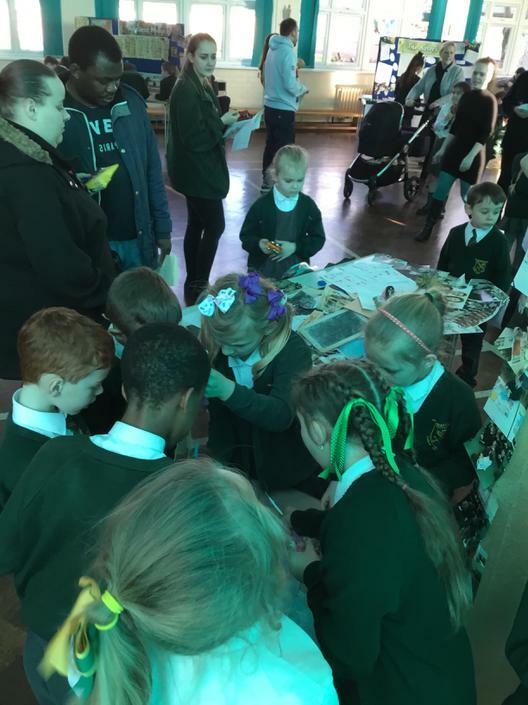 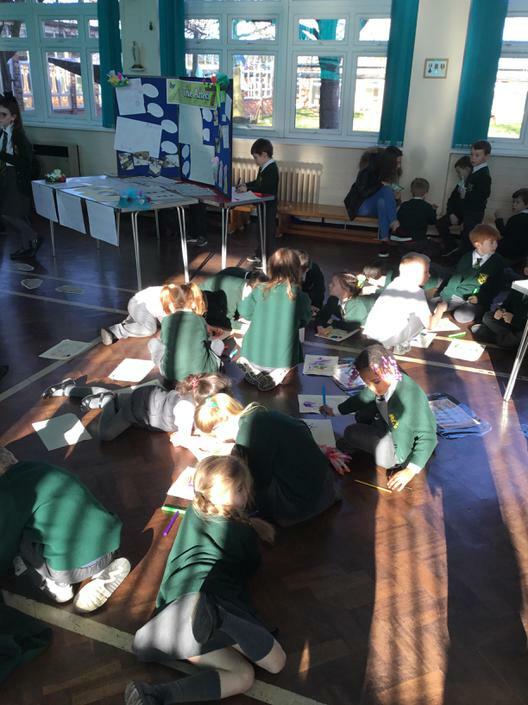 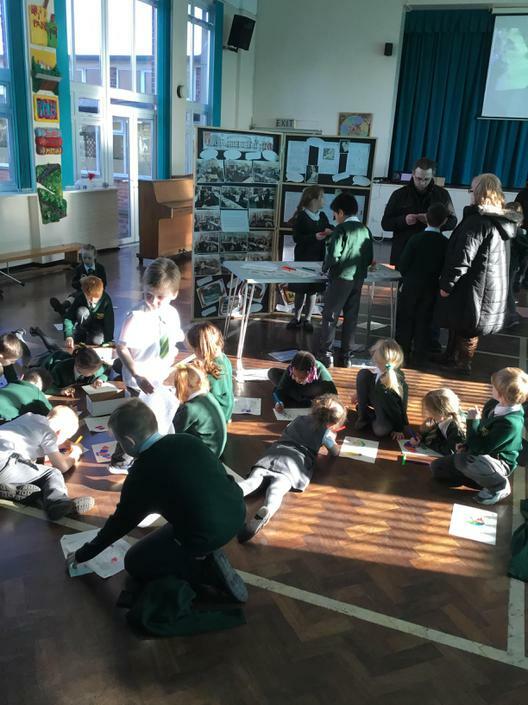 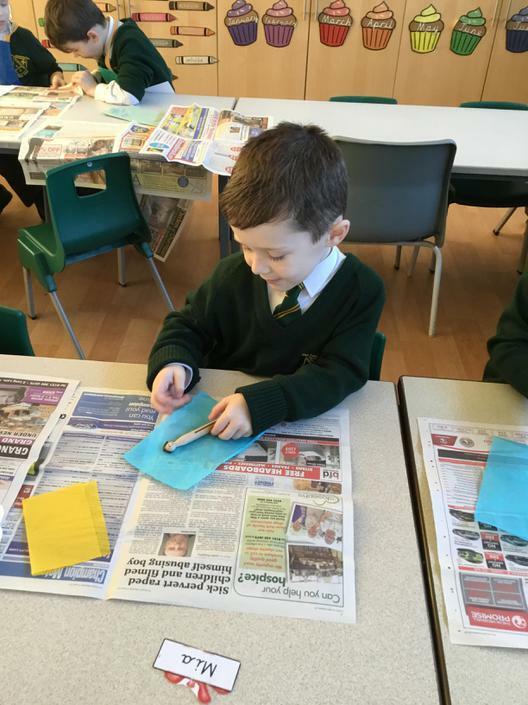 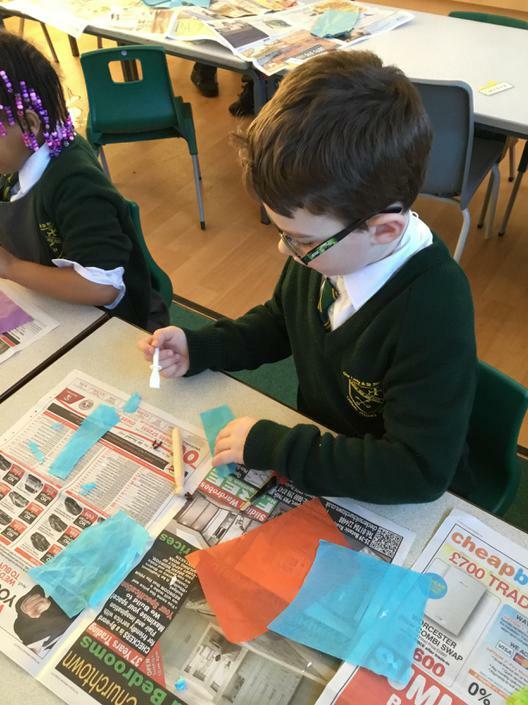 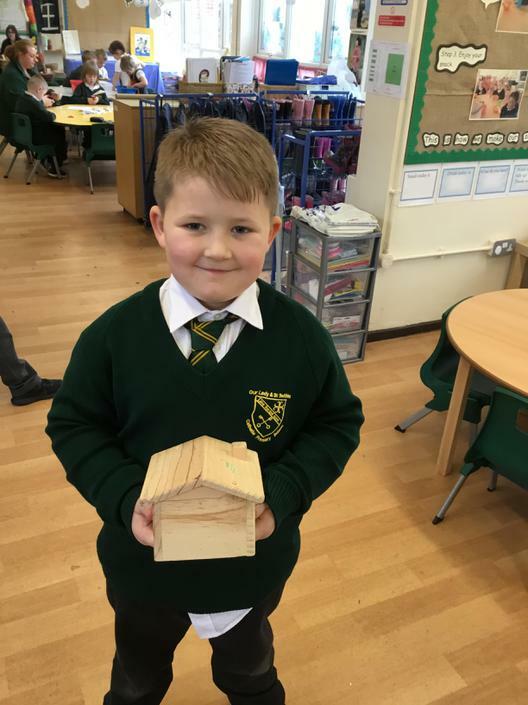 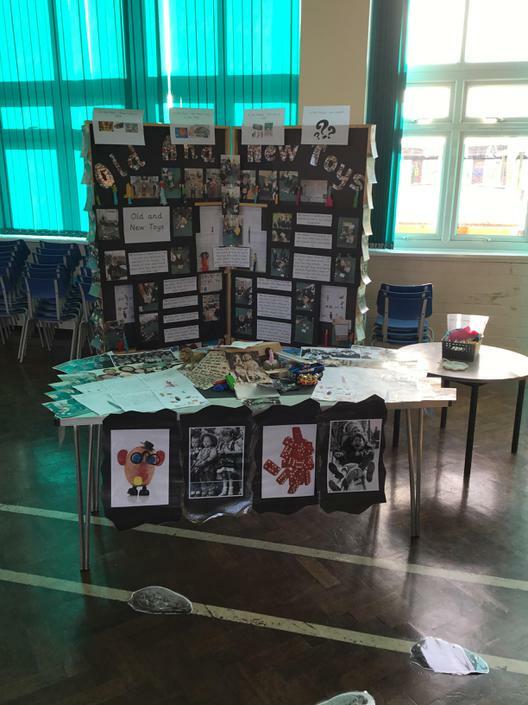 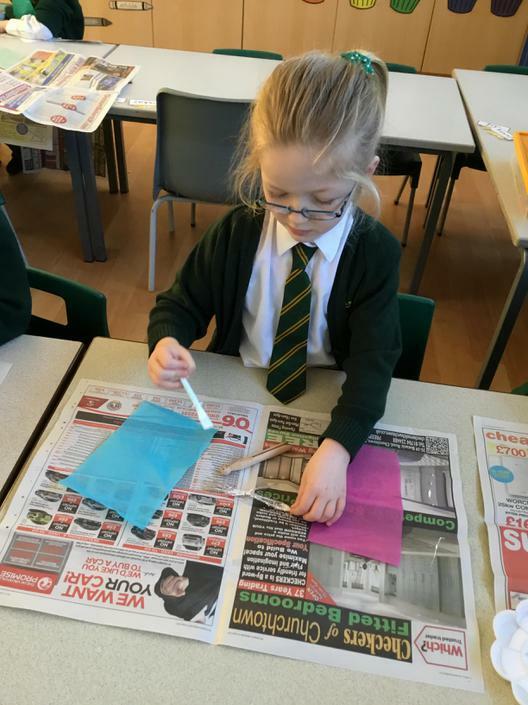 History Week - The Time Capsule! 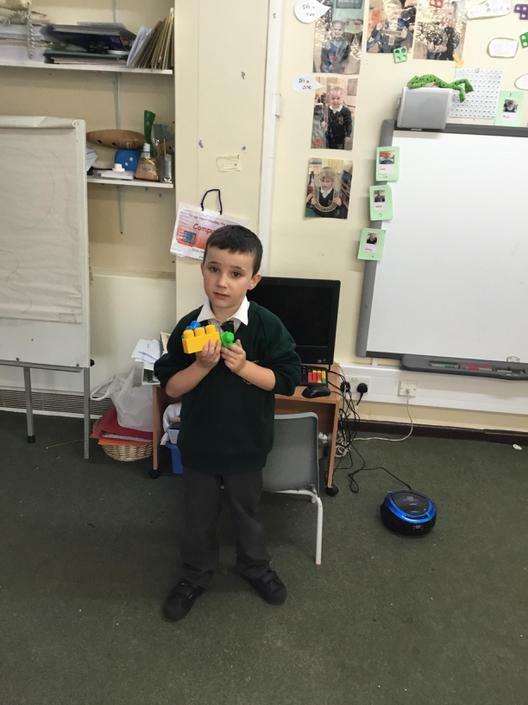 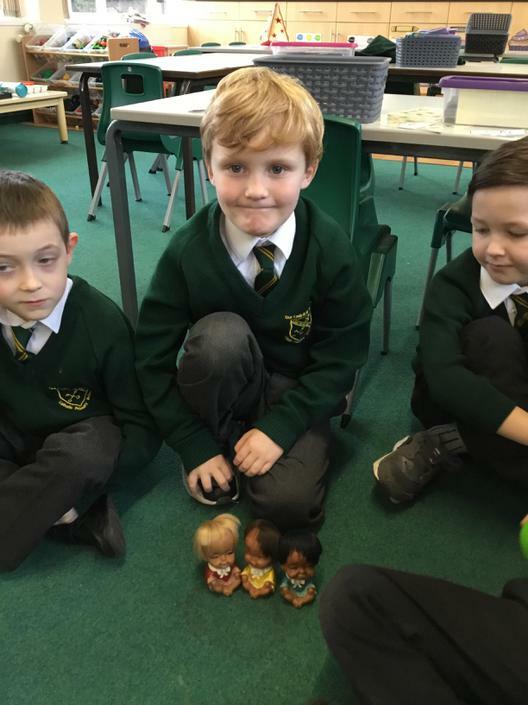 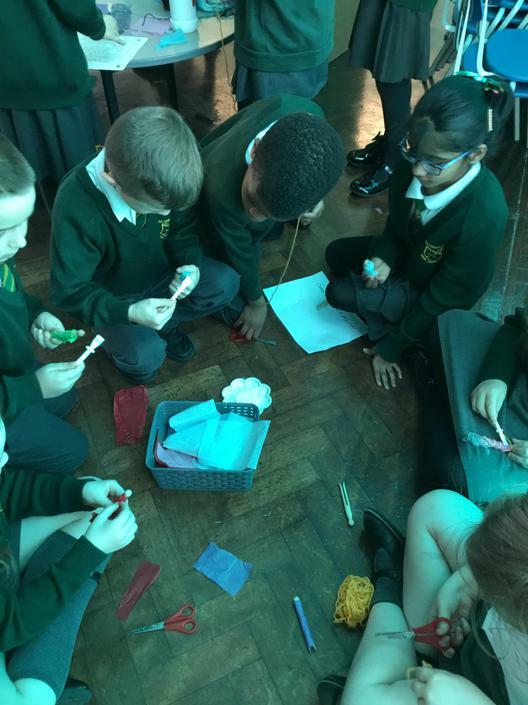 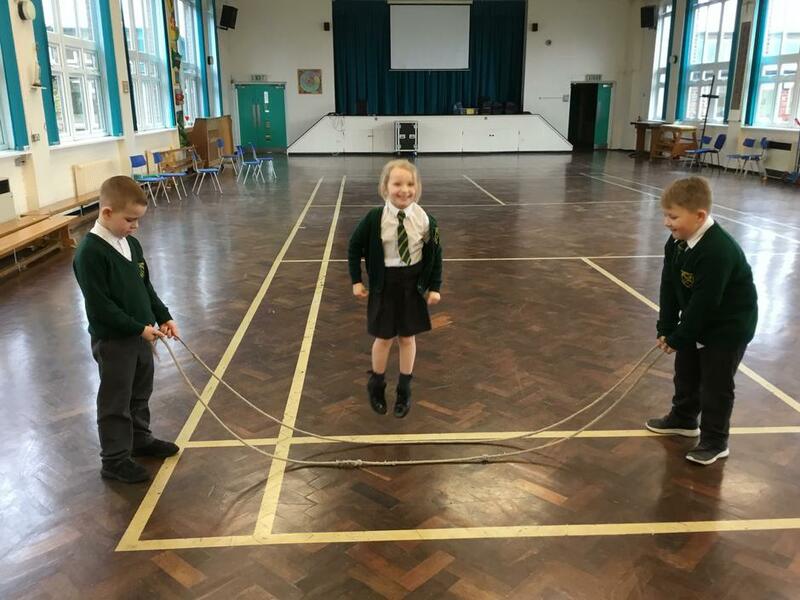 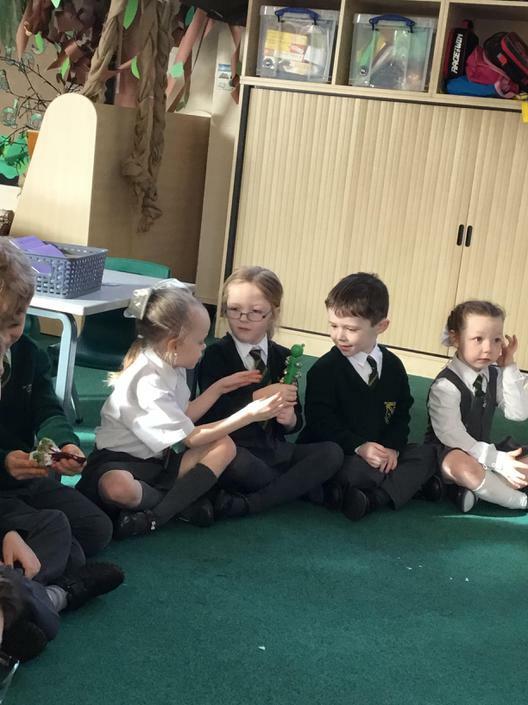 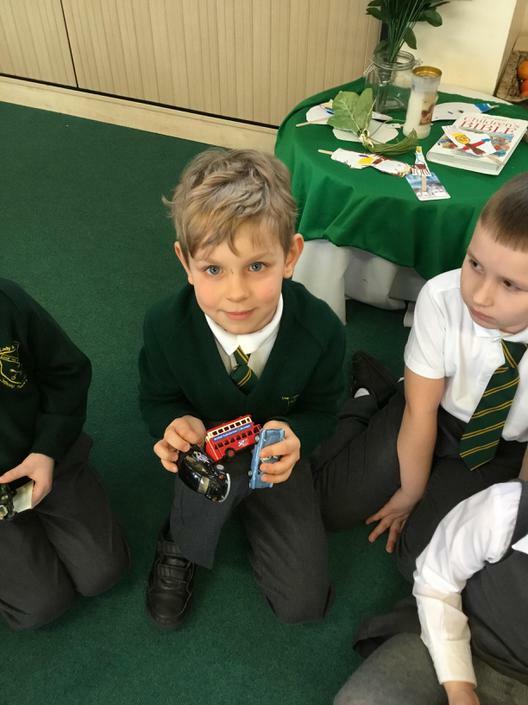 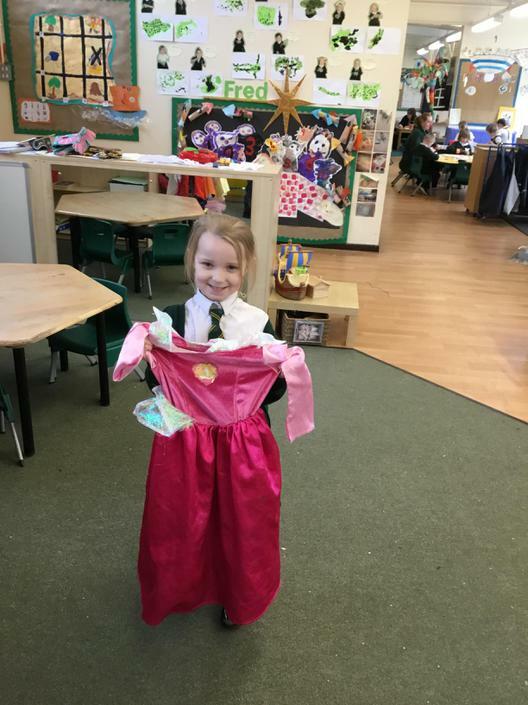 The children brought in some old toys from home to share and talk about in class. 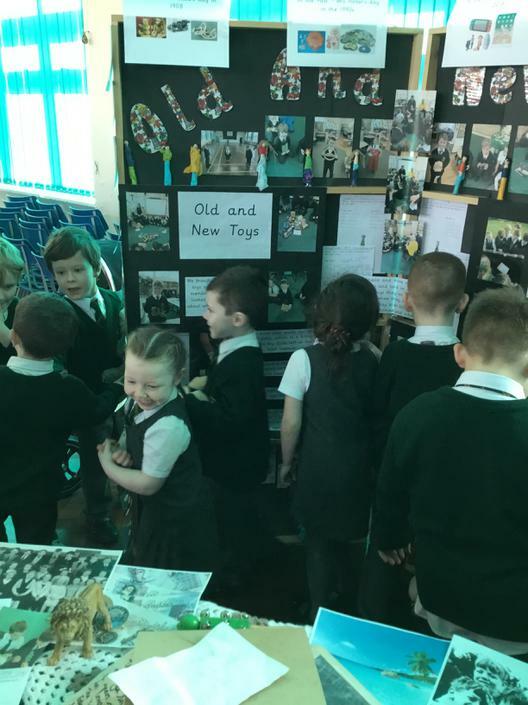 These toys ranged from toys from when they were babies, to older toys which belonged to their parents or older members of their family. 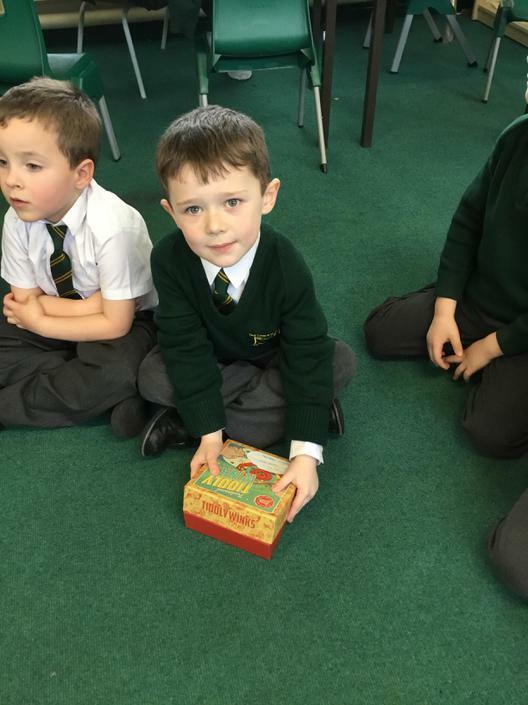 We also found old toys around our school. 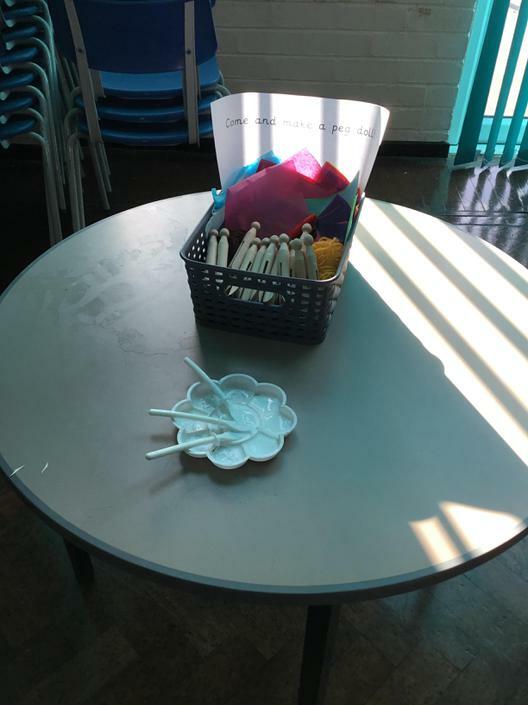 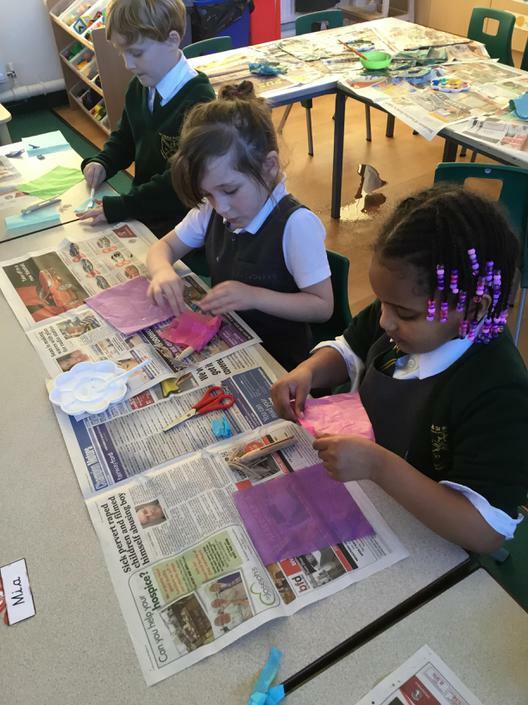 We will be talking about how we can judge the age of an object by the material it is made from and the condition. 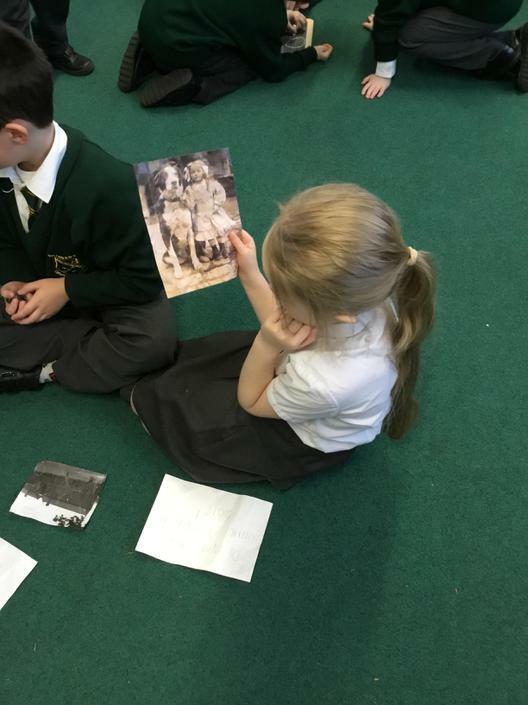 We have been panting pictures of our favourite toys. 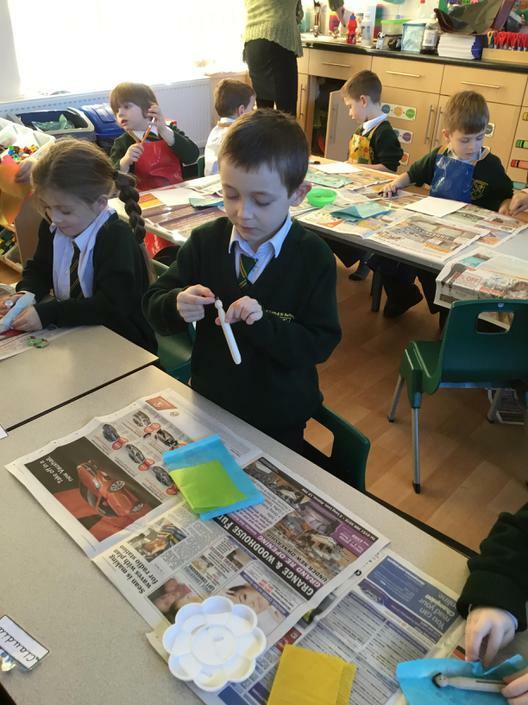 We have lots of super artists in our class! 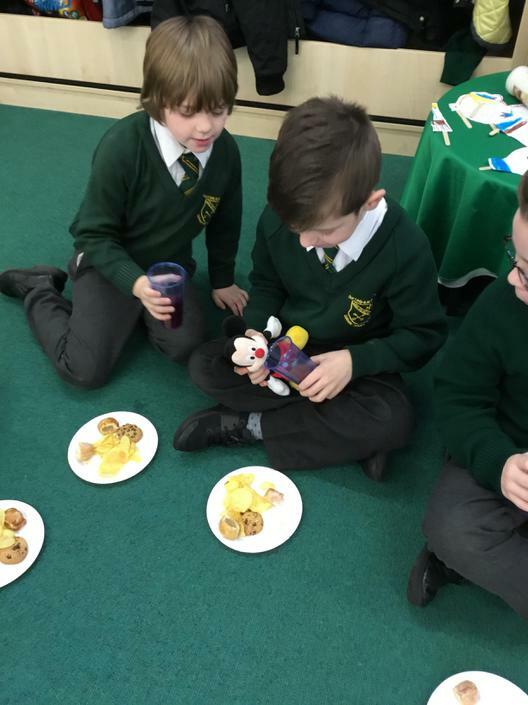 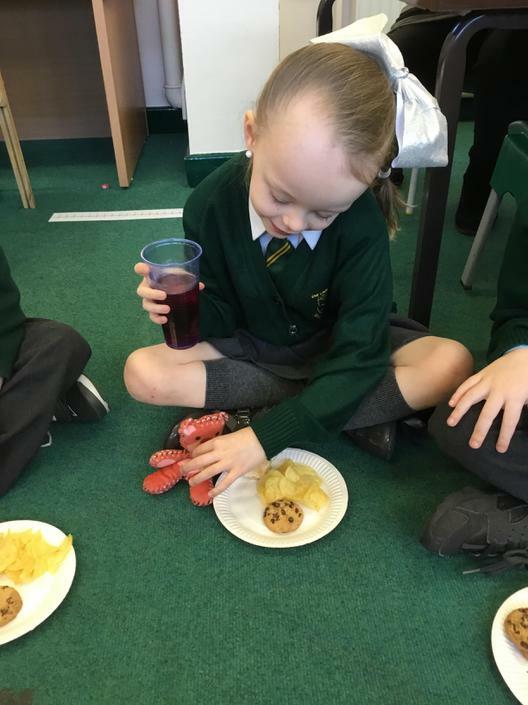 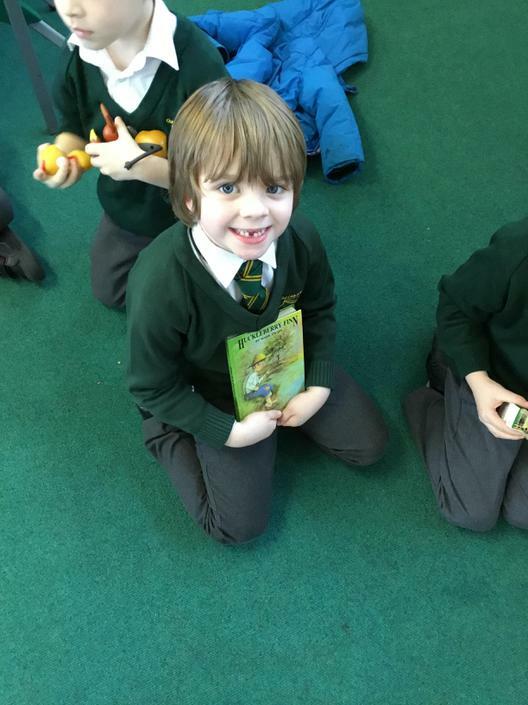 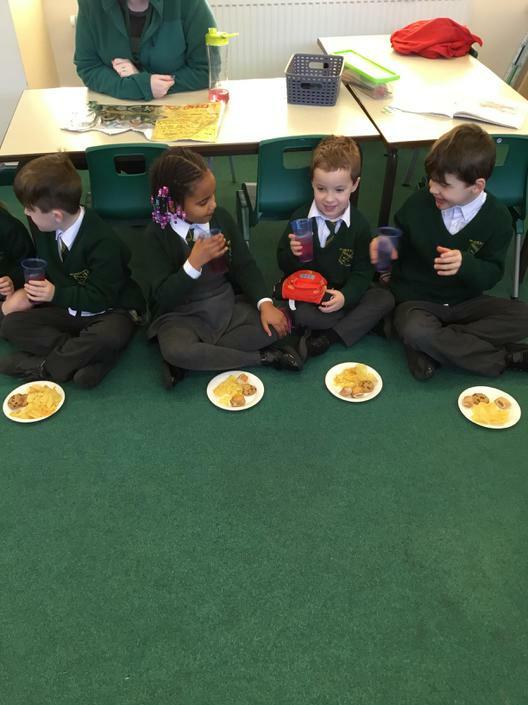 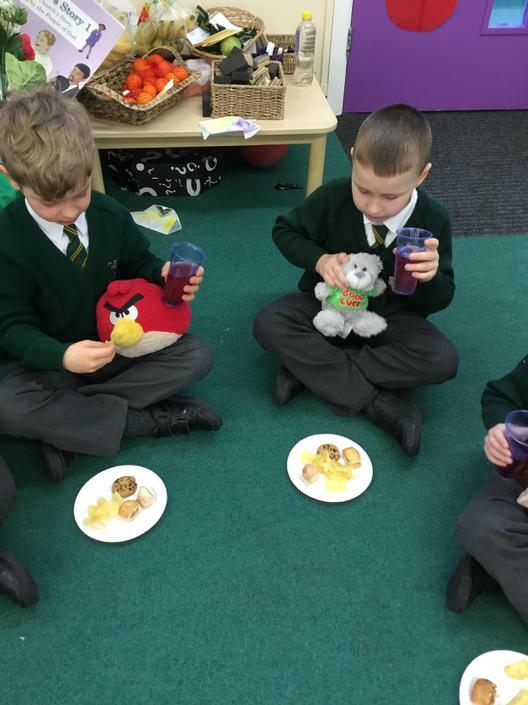 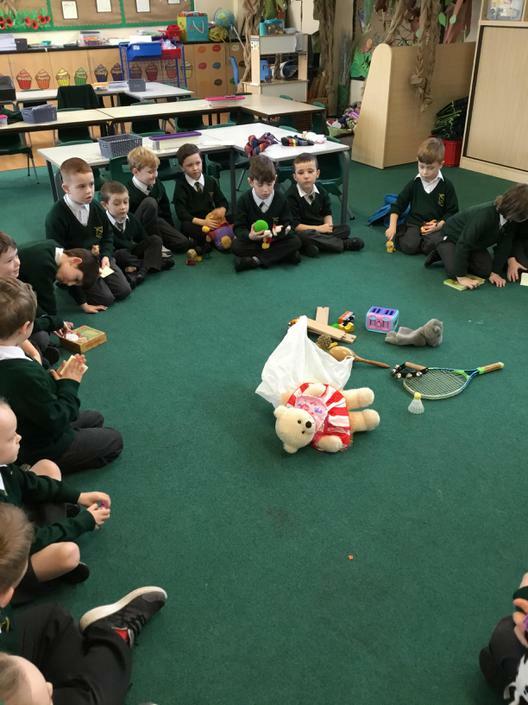 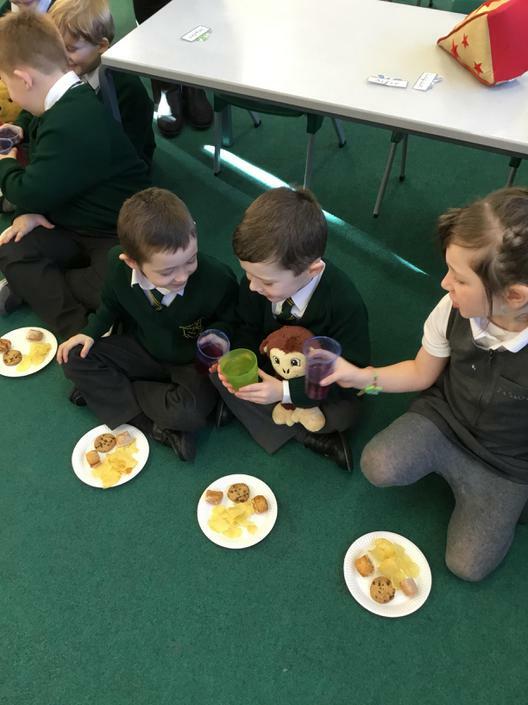 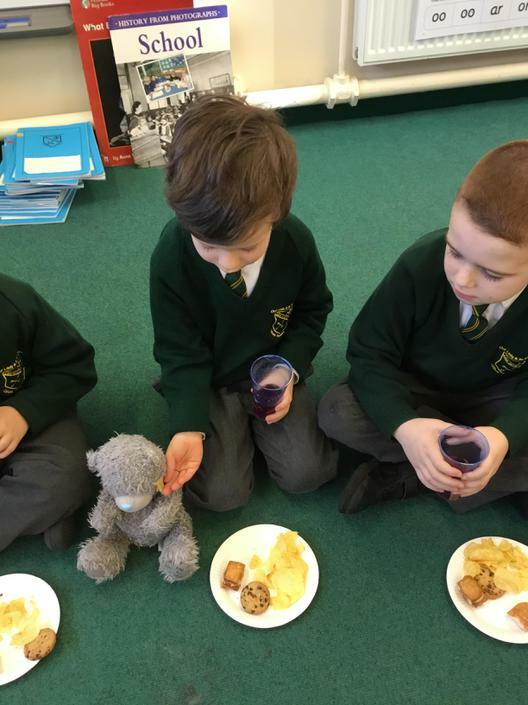 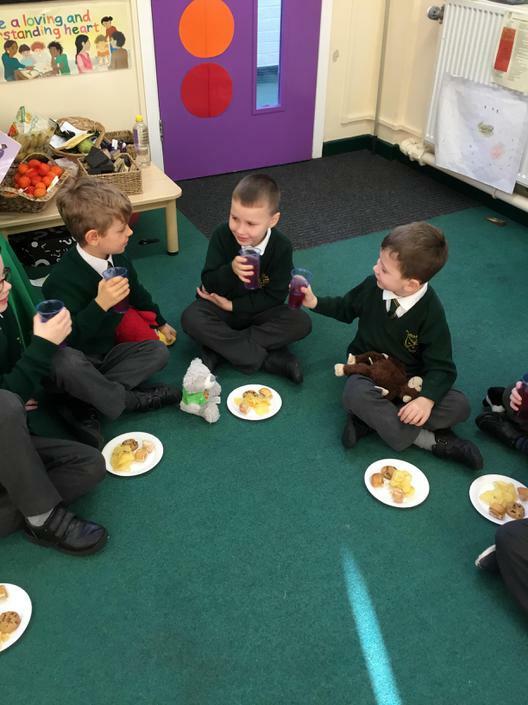 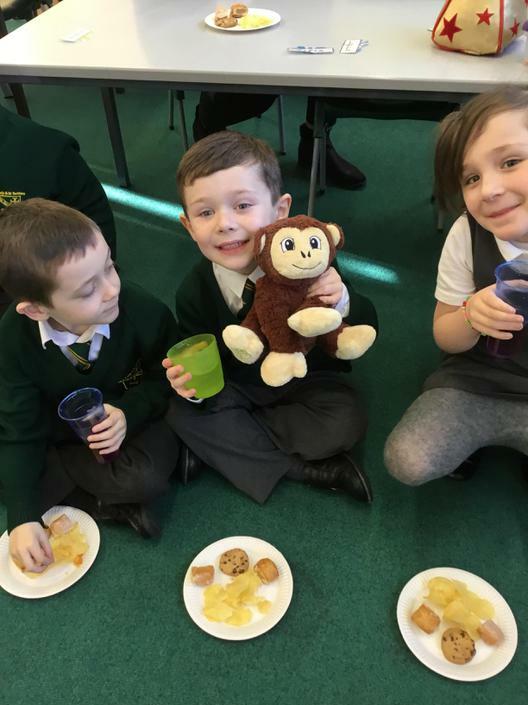 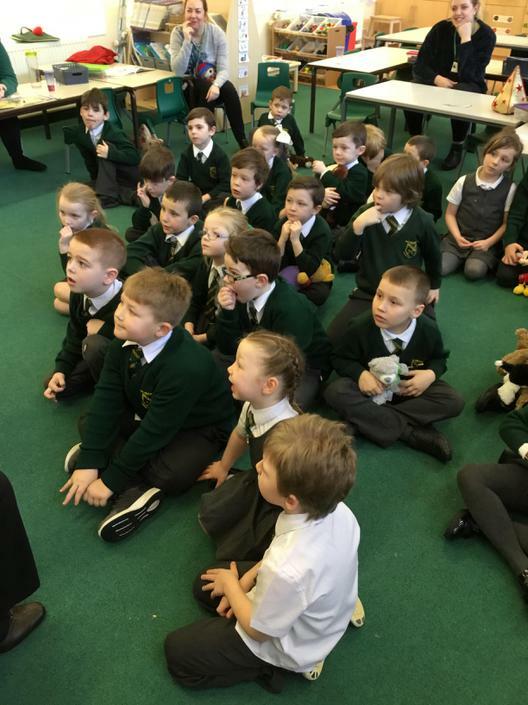 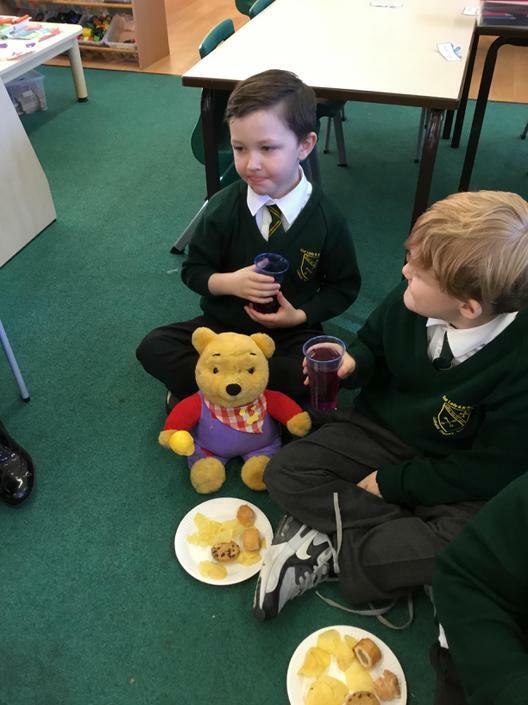 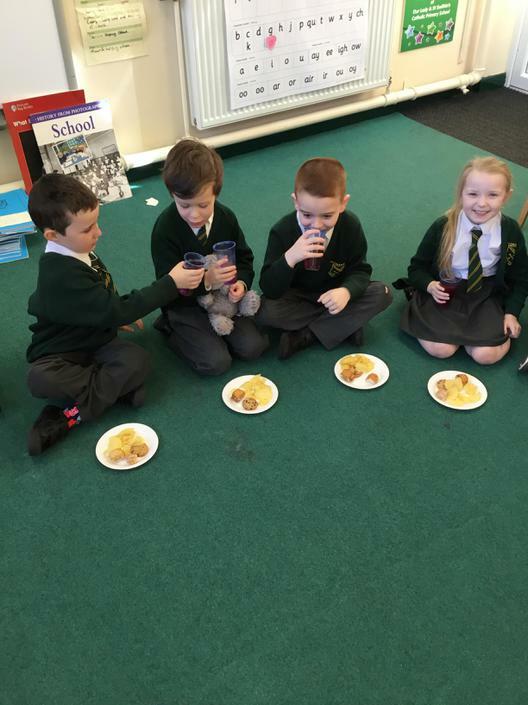 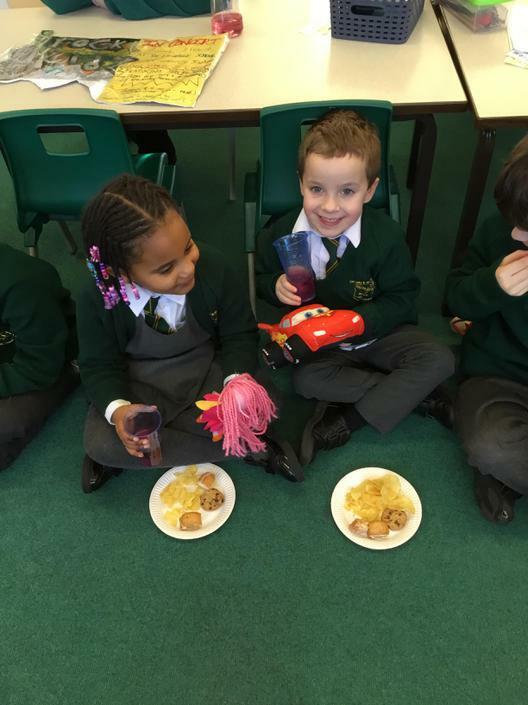 We enjoyed a teddy bear’s picnic to celebrate history week! 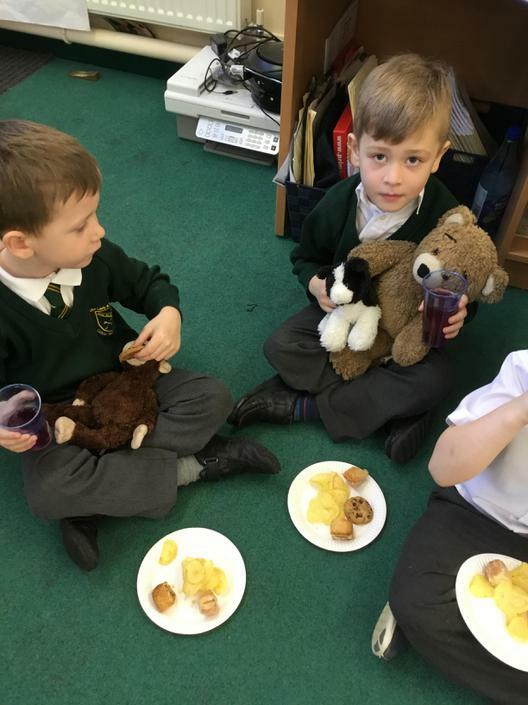 We brought in our old teddies from home. 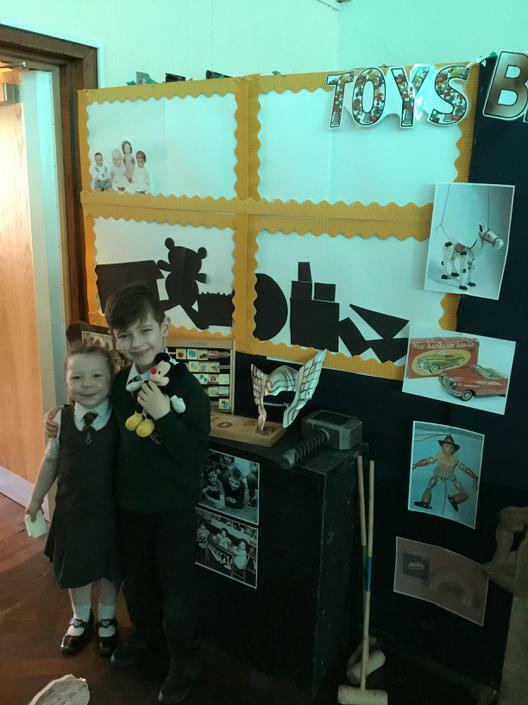 Sheila and Rose came to visit and told us all about their favourite toys from when they were little girls. 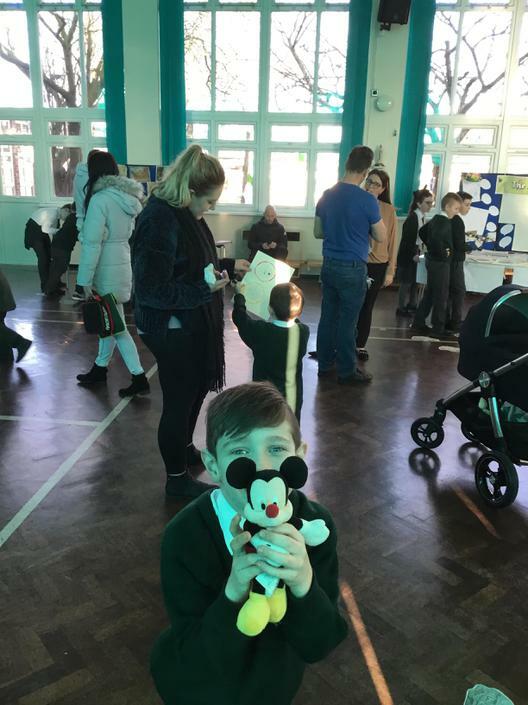 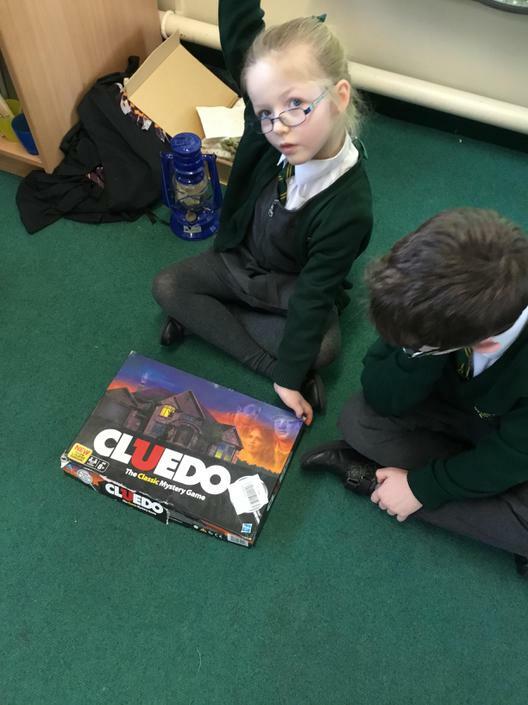 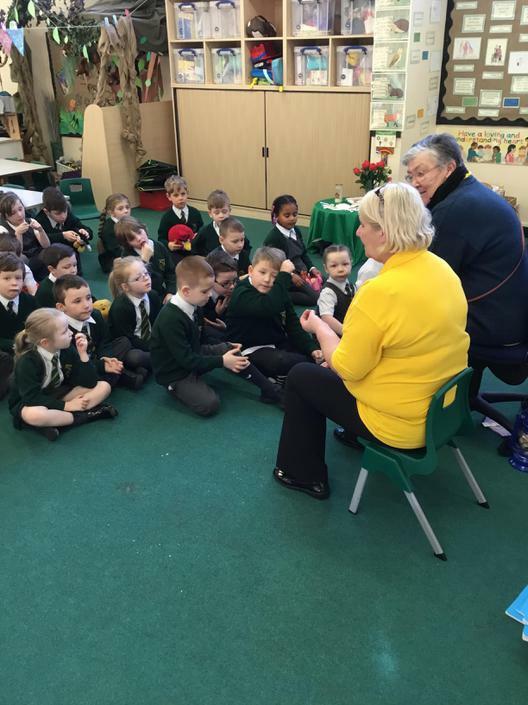 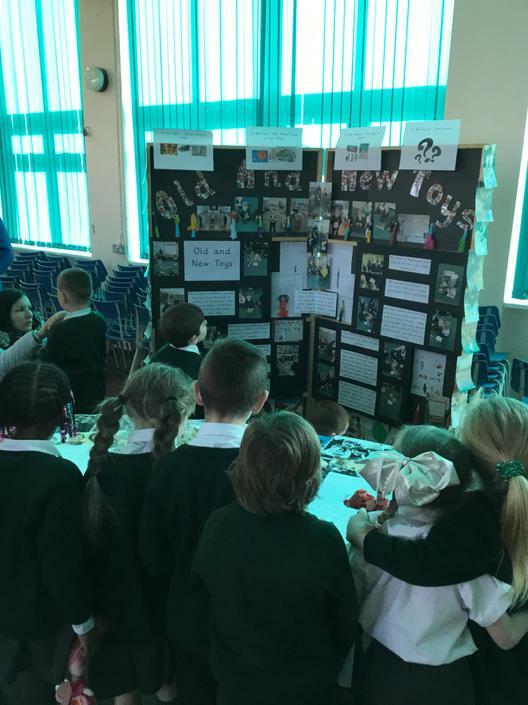 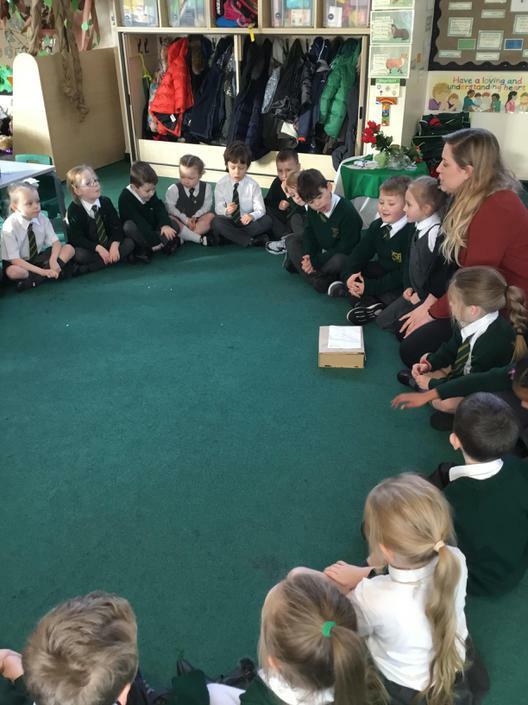 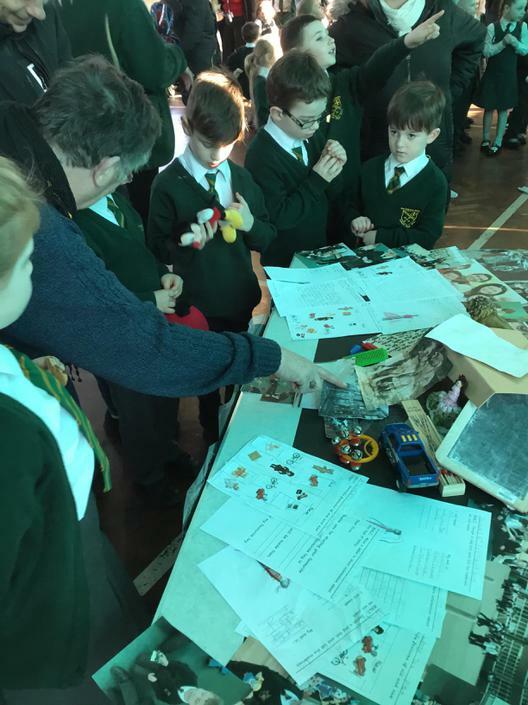 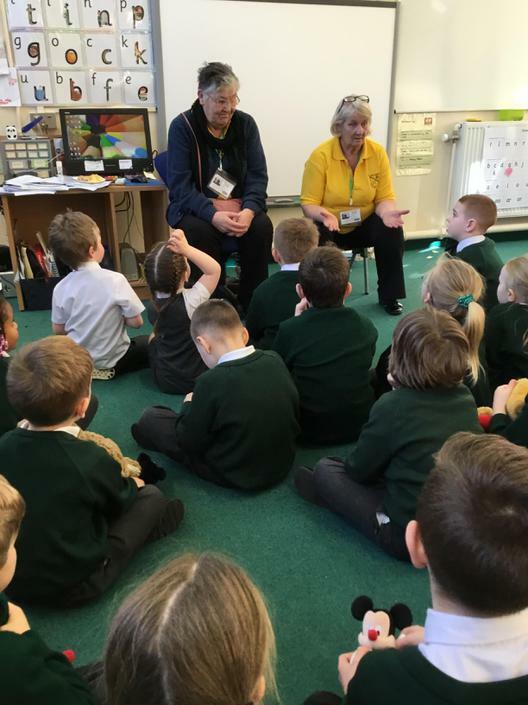 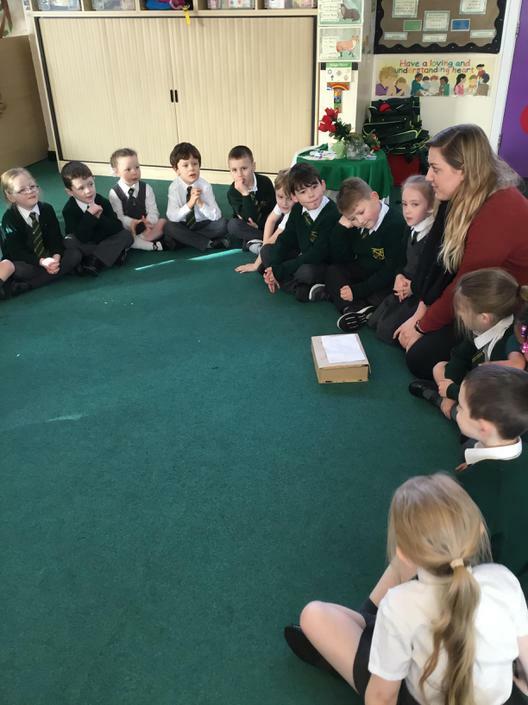 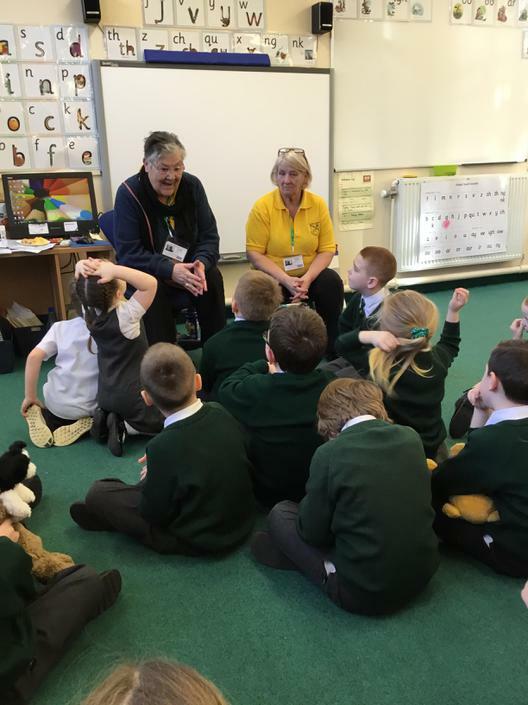 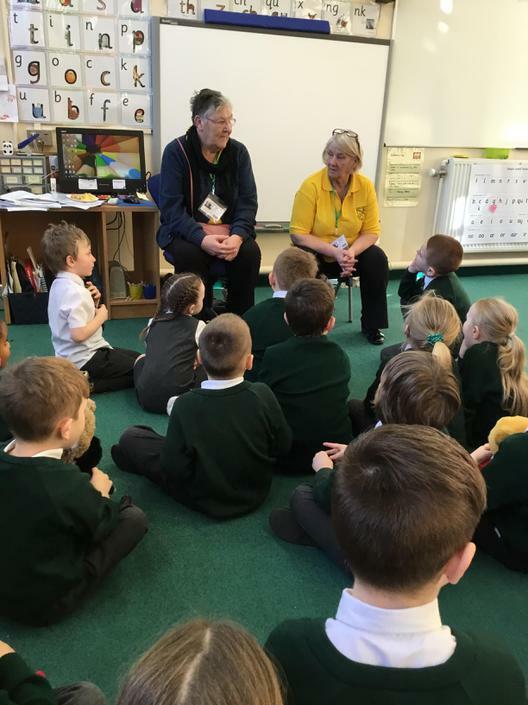 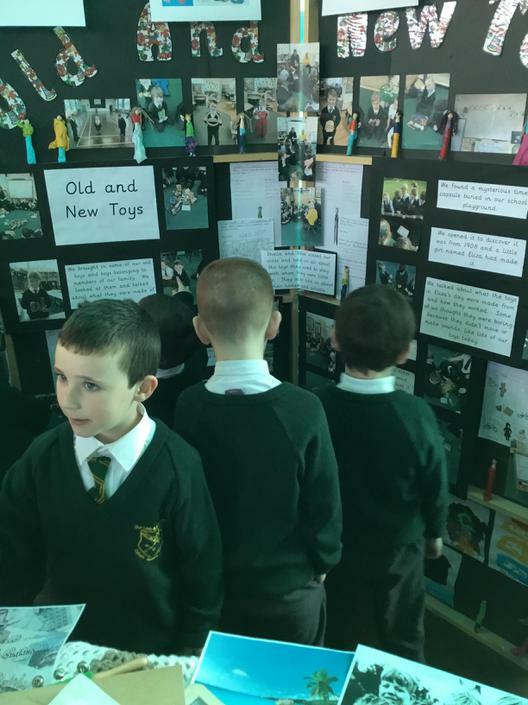 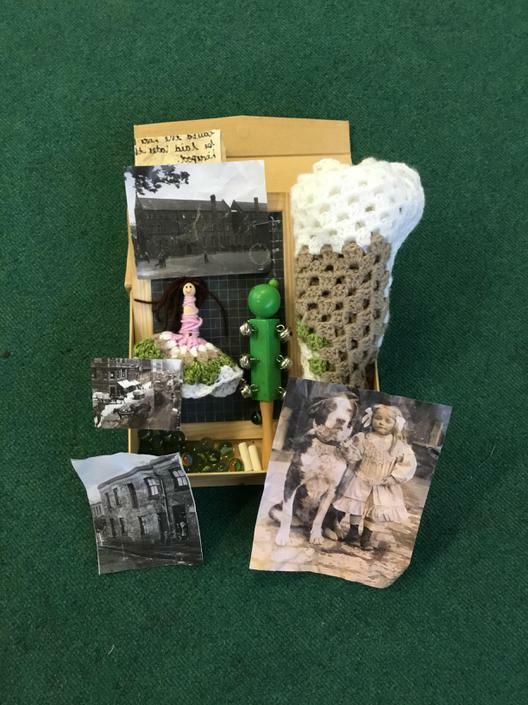 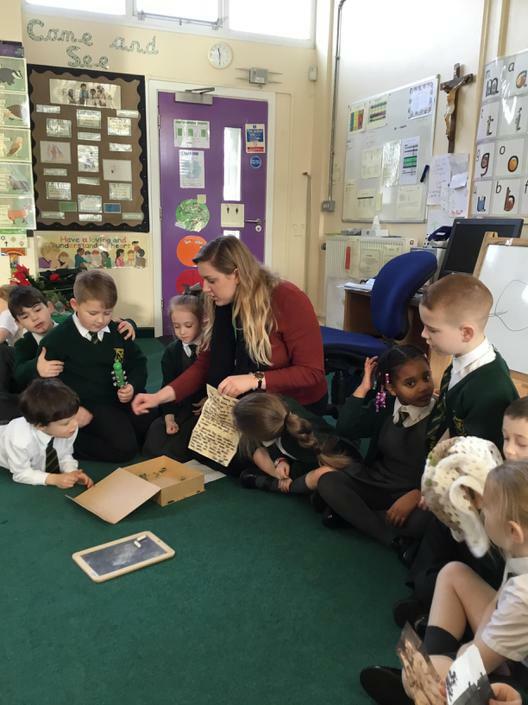 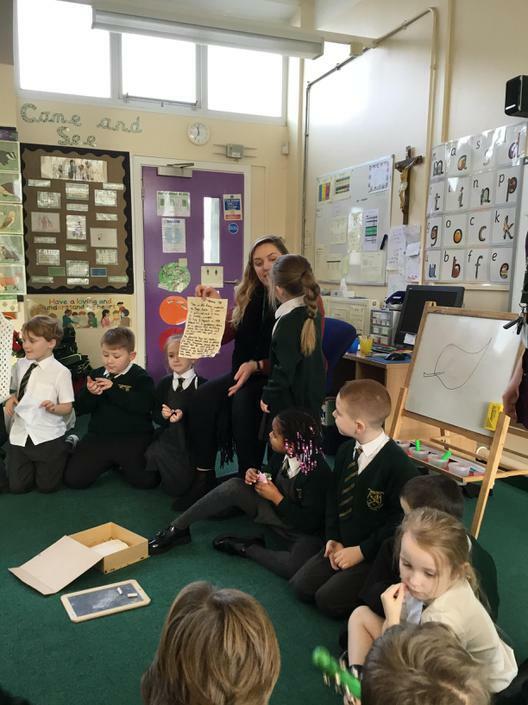 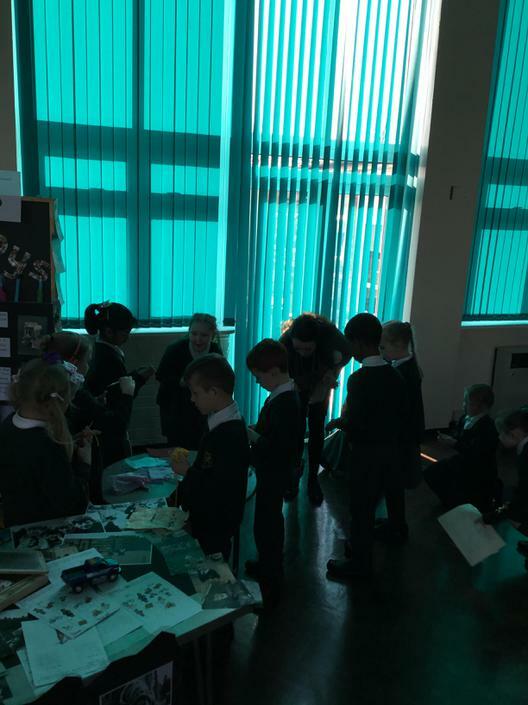 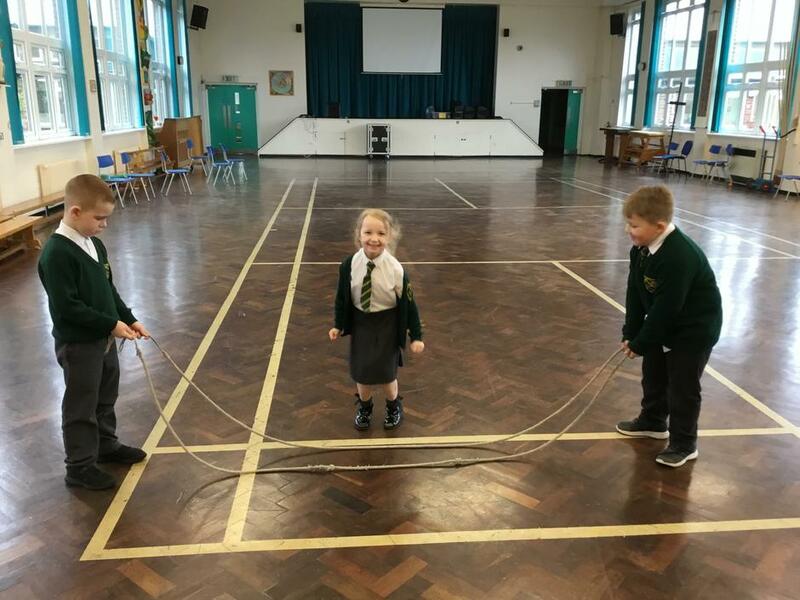 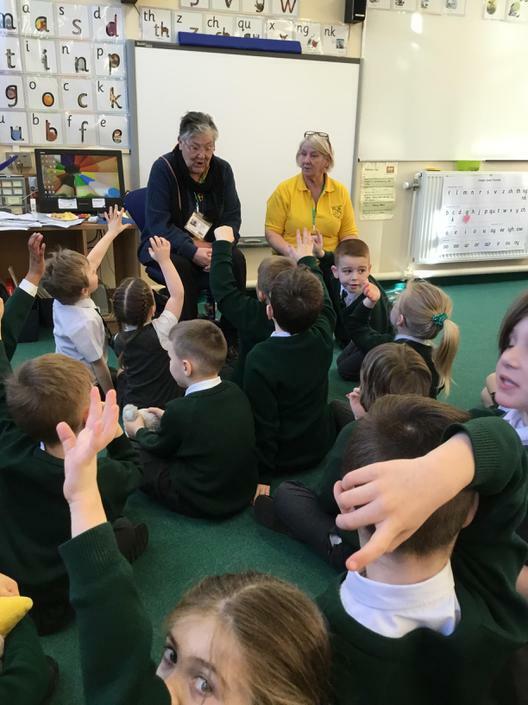 The children had lots of questions and learnt lots about toys and families of the past. 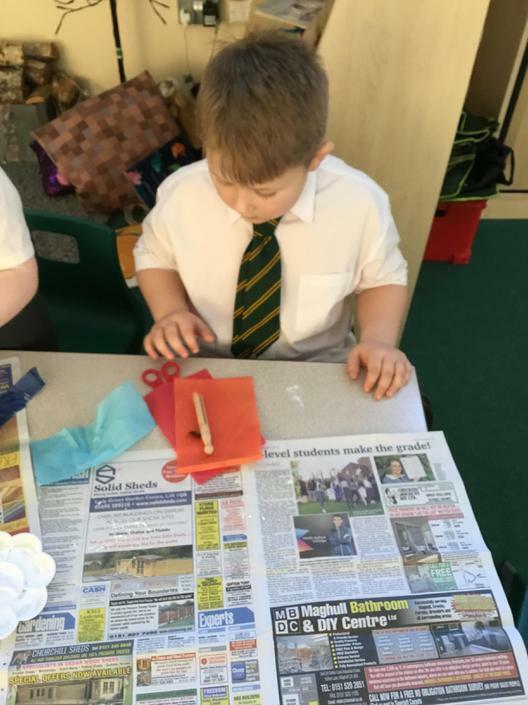 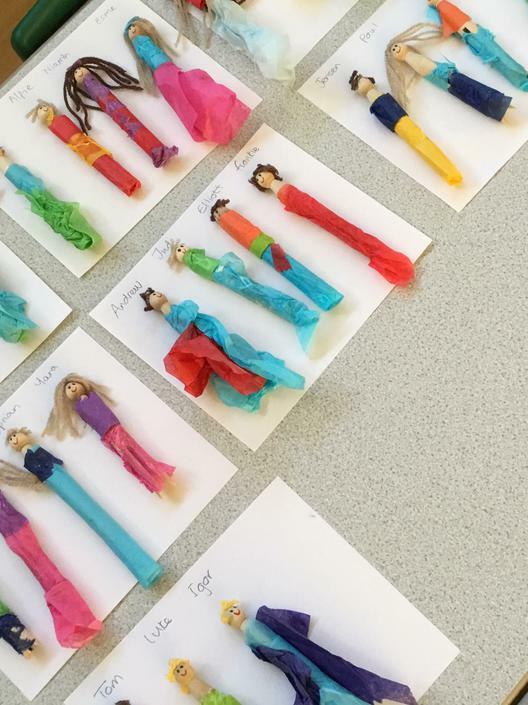 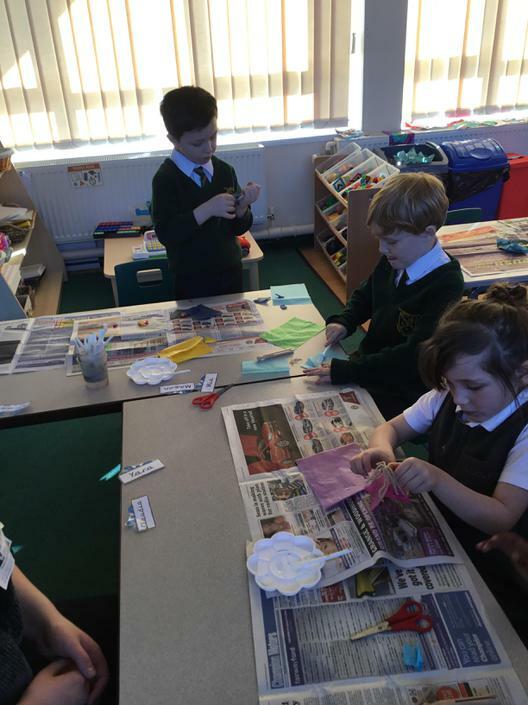 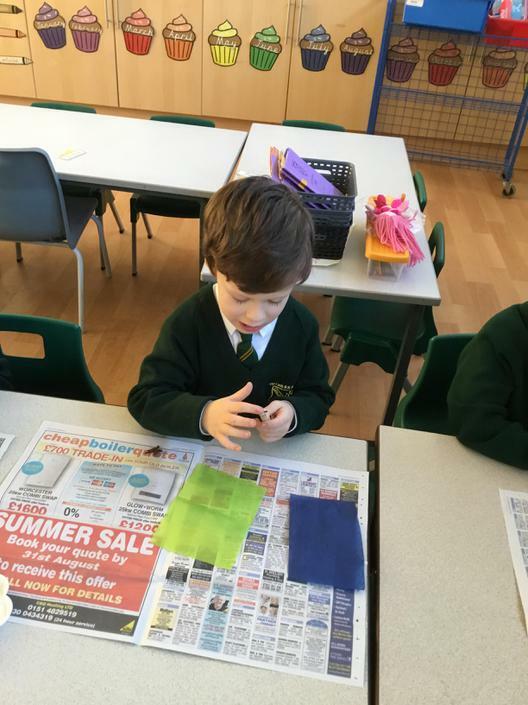 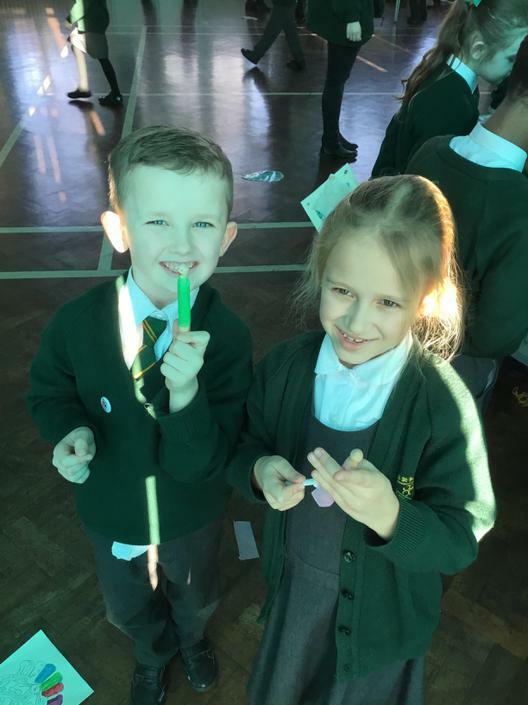 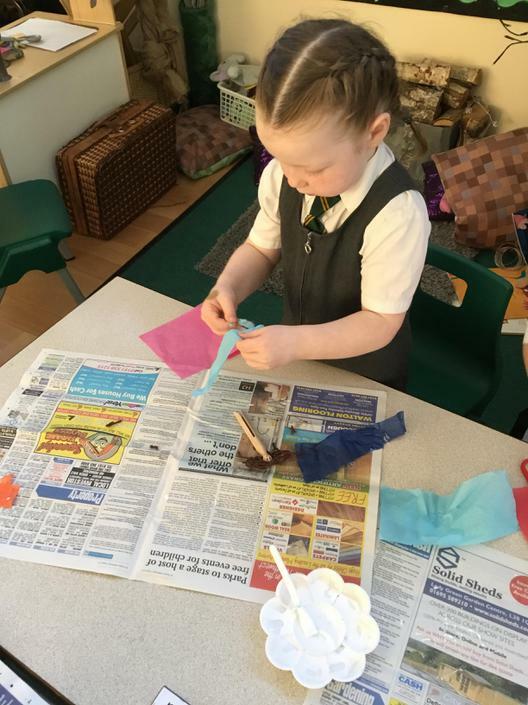 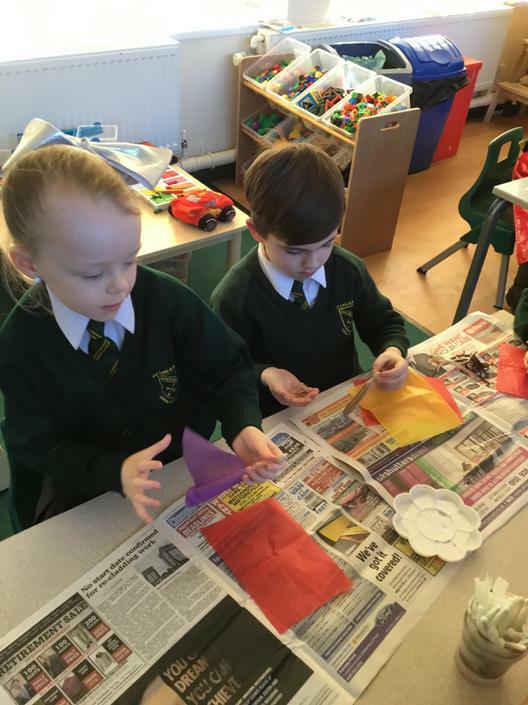 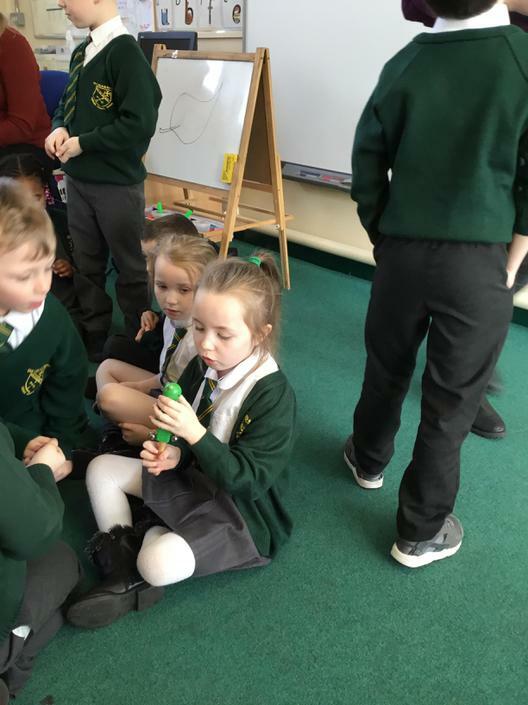 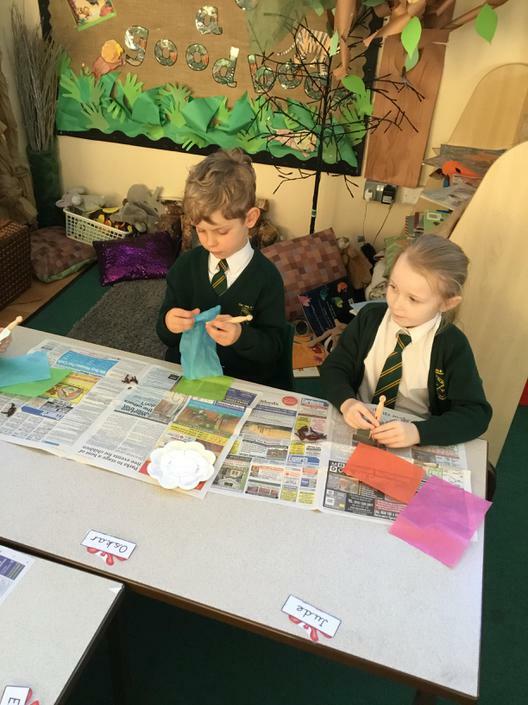 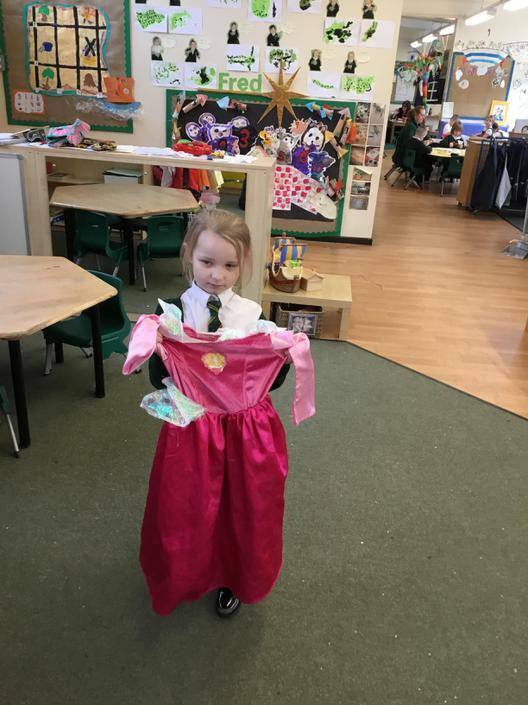 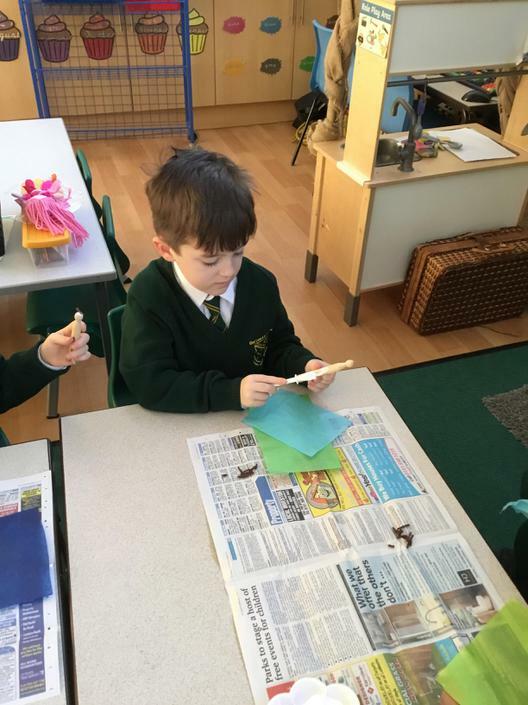 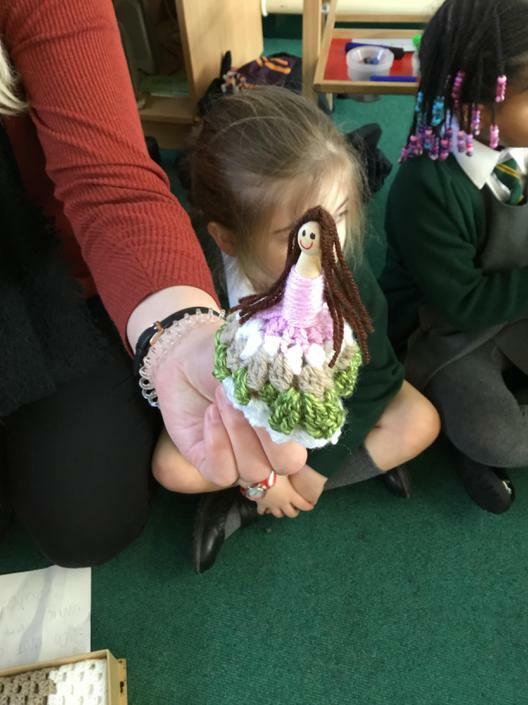 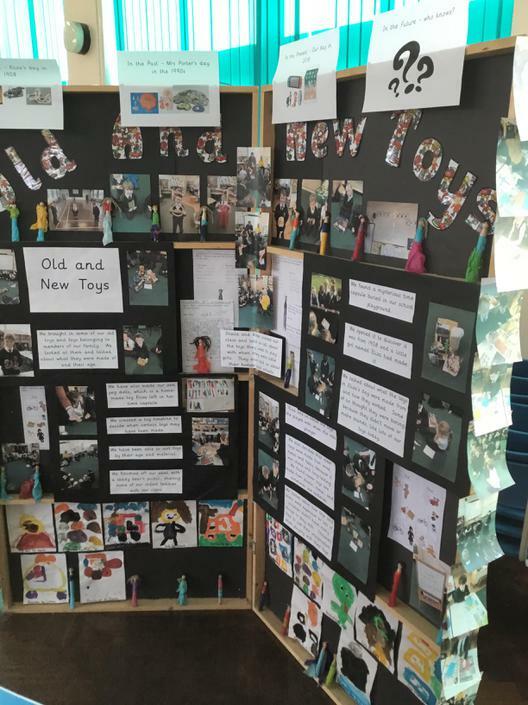 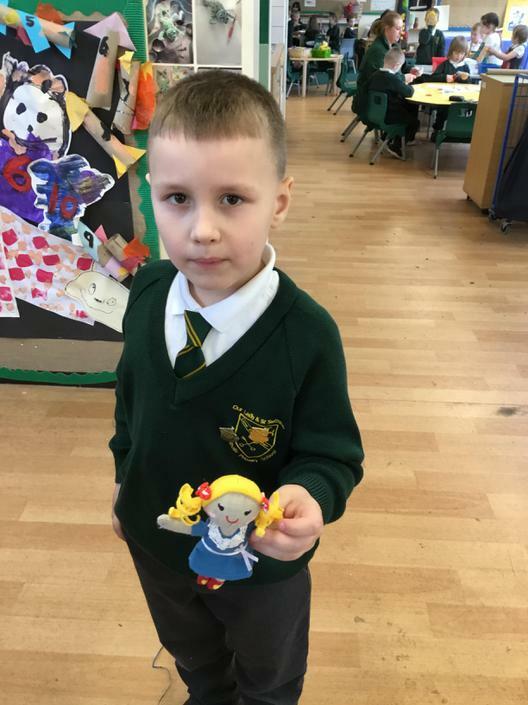 We have made and designed our own peg dolls to play with at home. 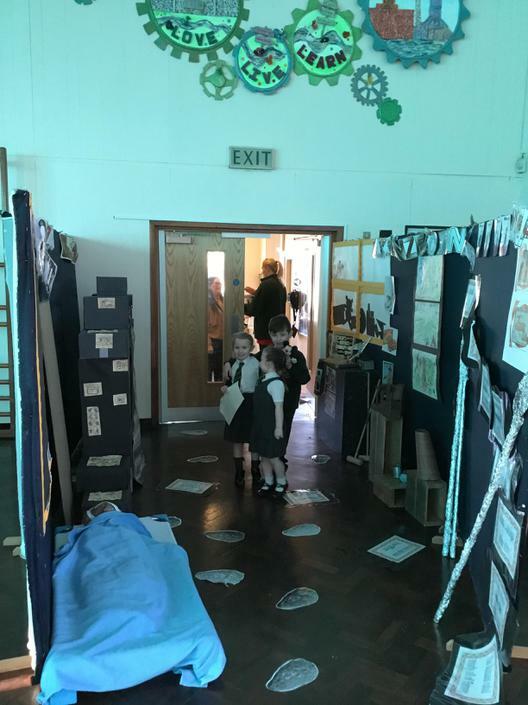 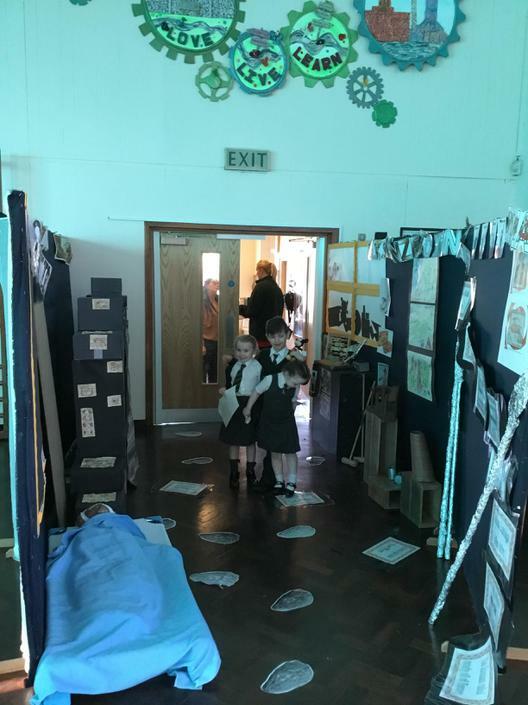 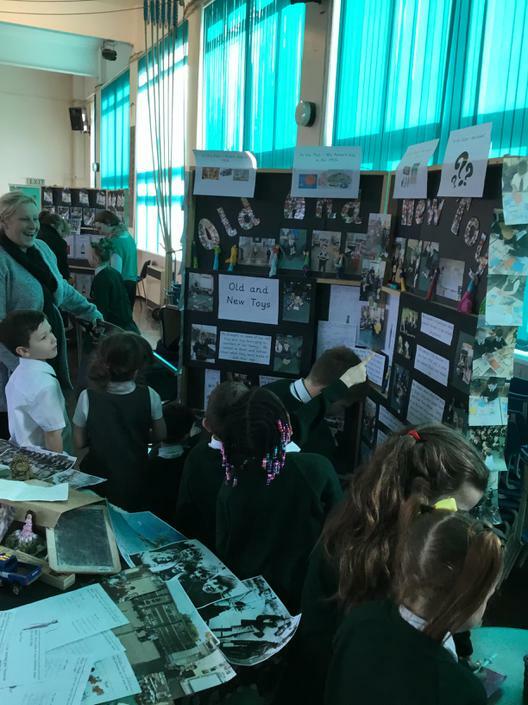 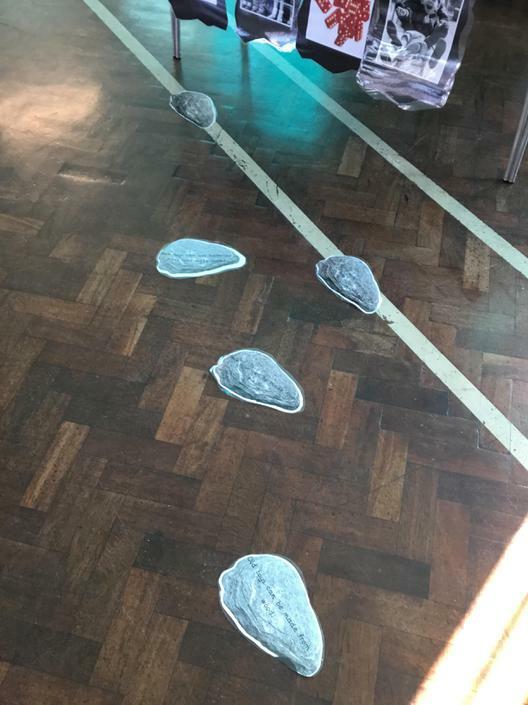 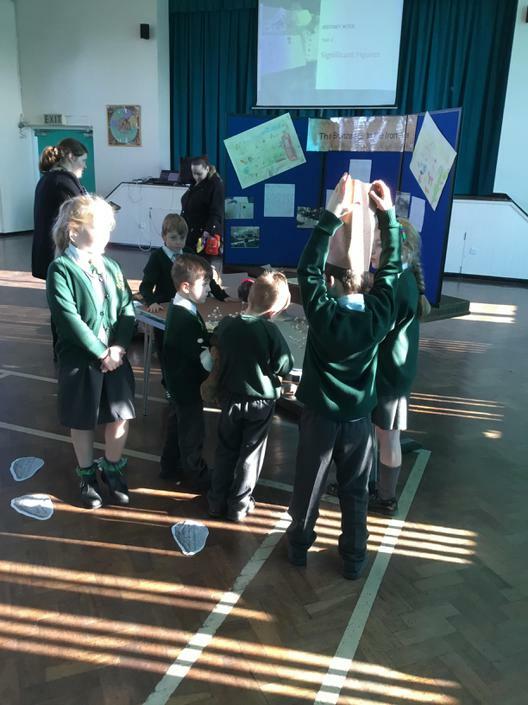 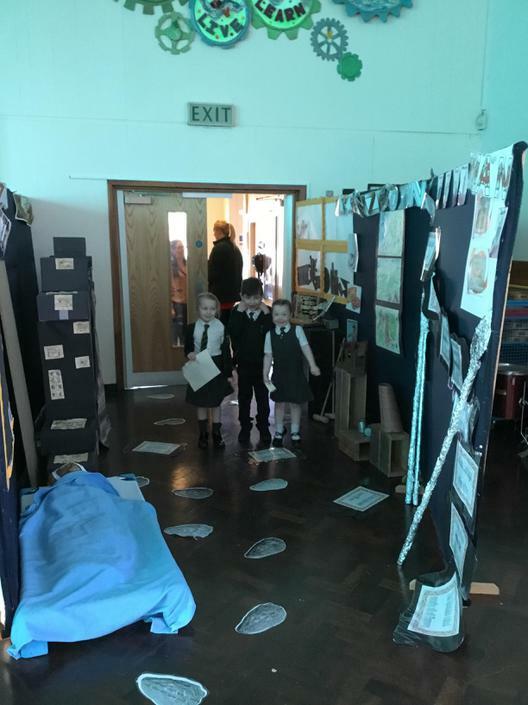 We have rounded off history week with our Stepping Back in Time Exhibition.